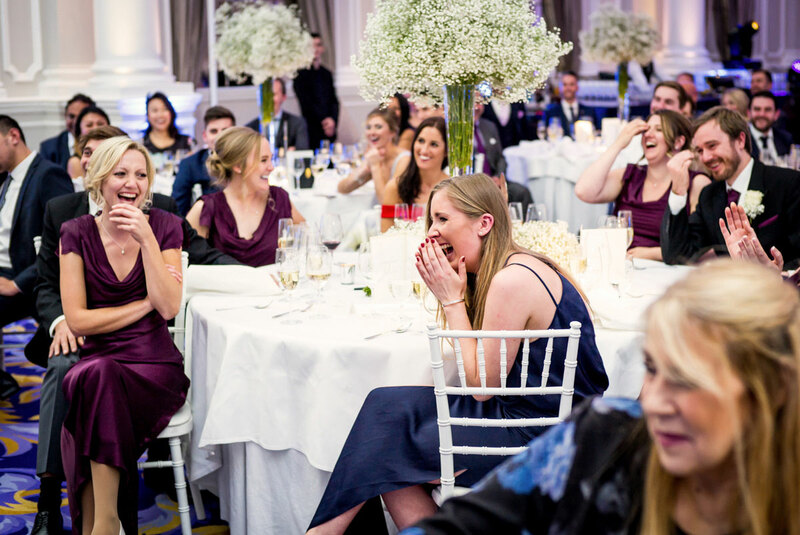 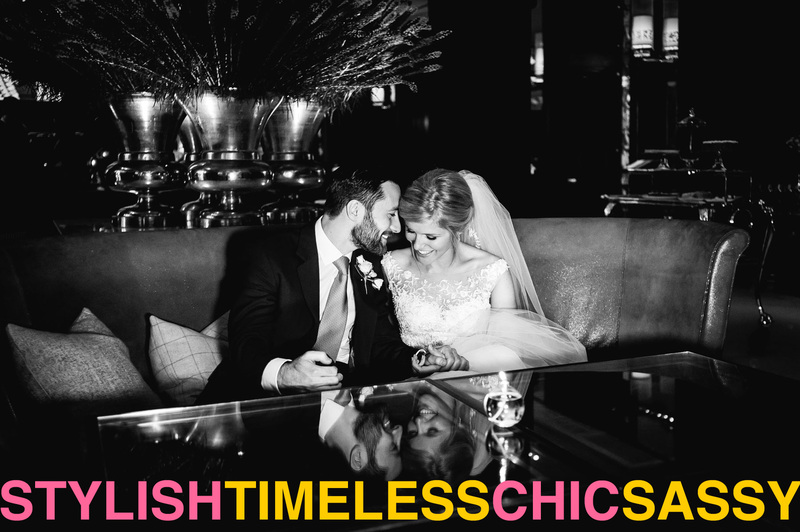 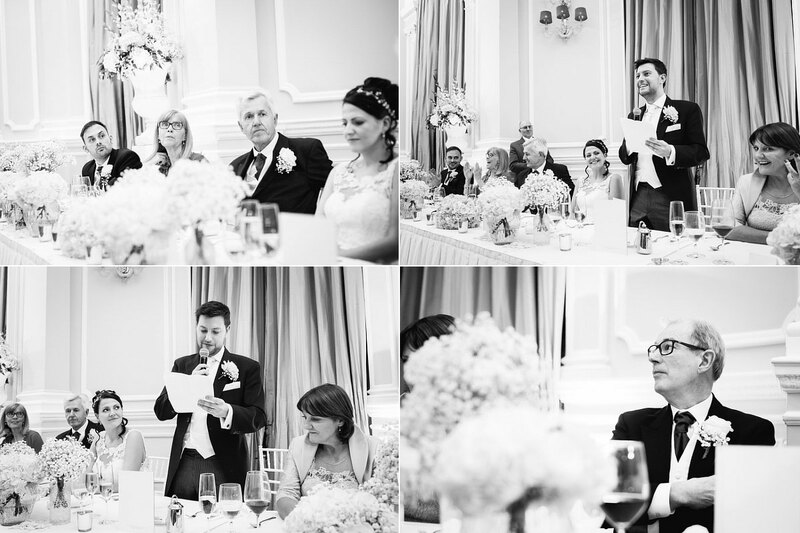 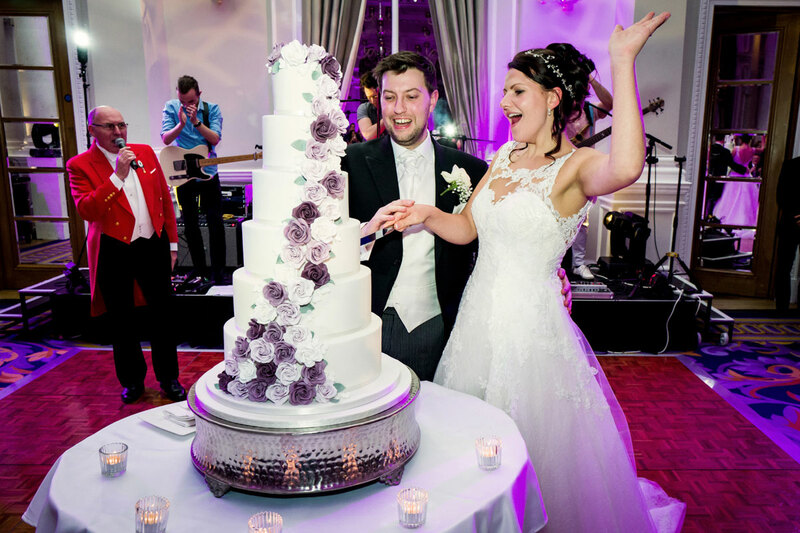 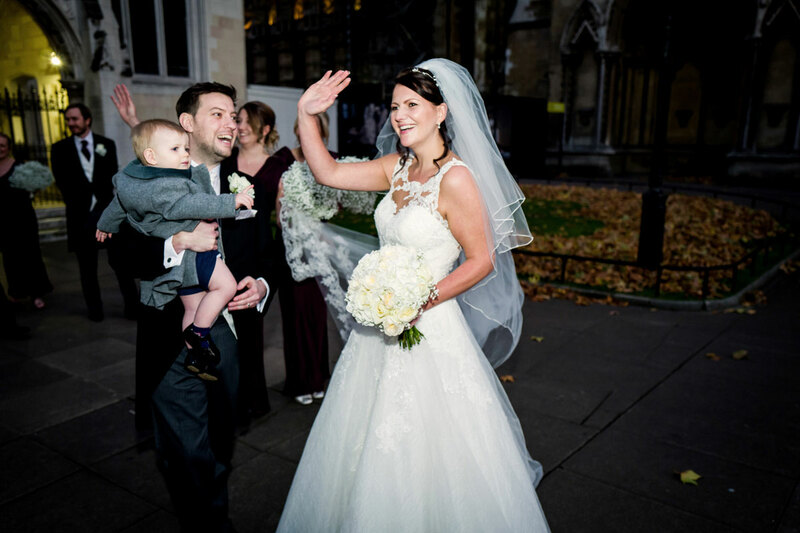 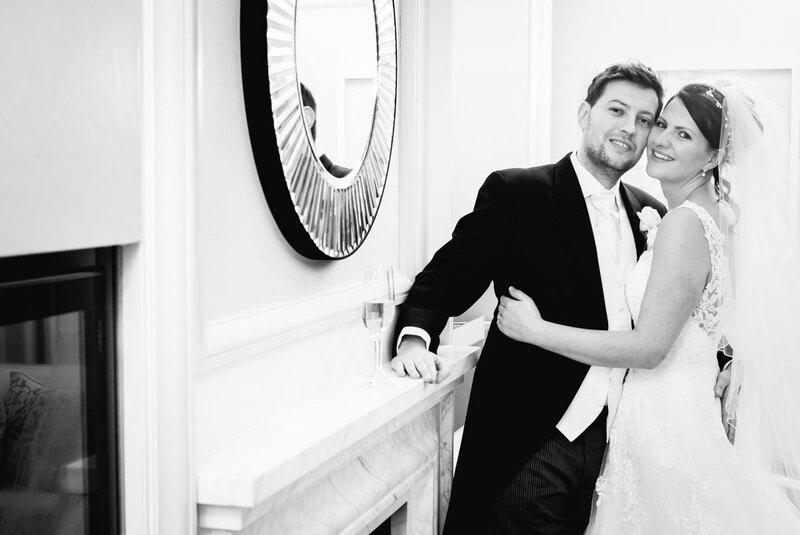 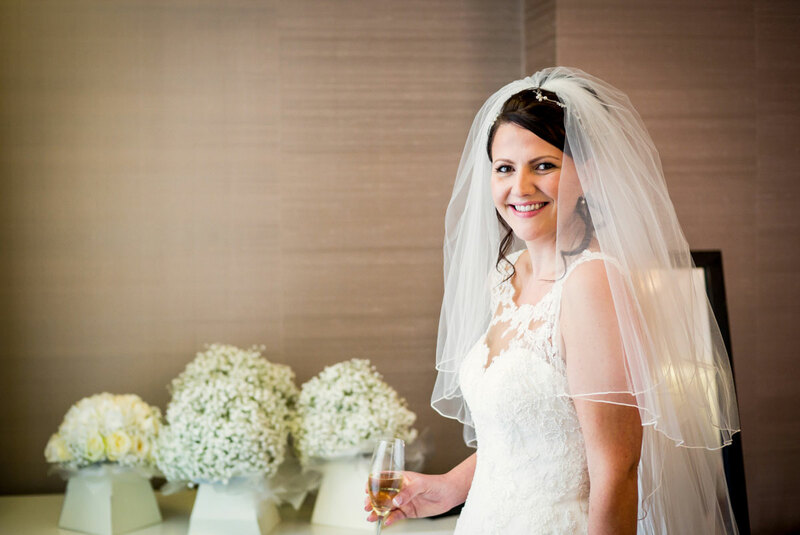 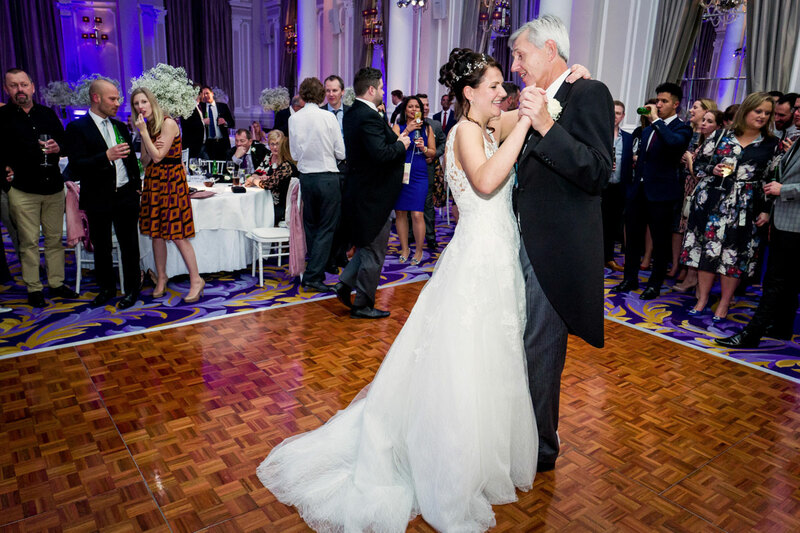 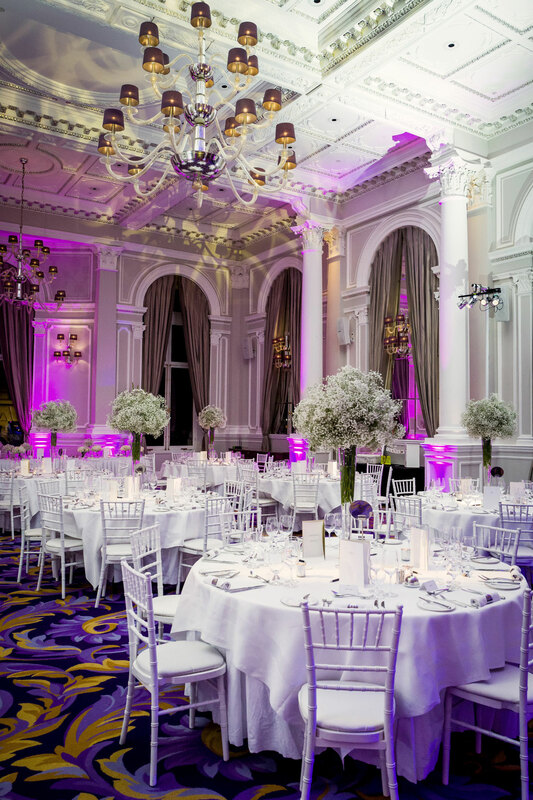 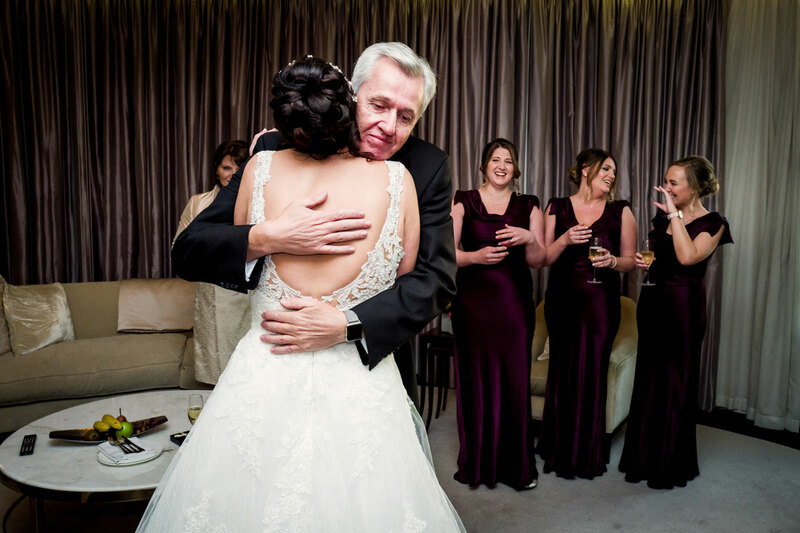 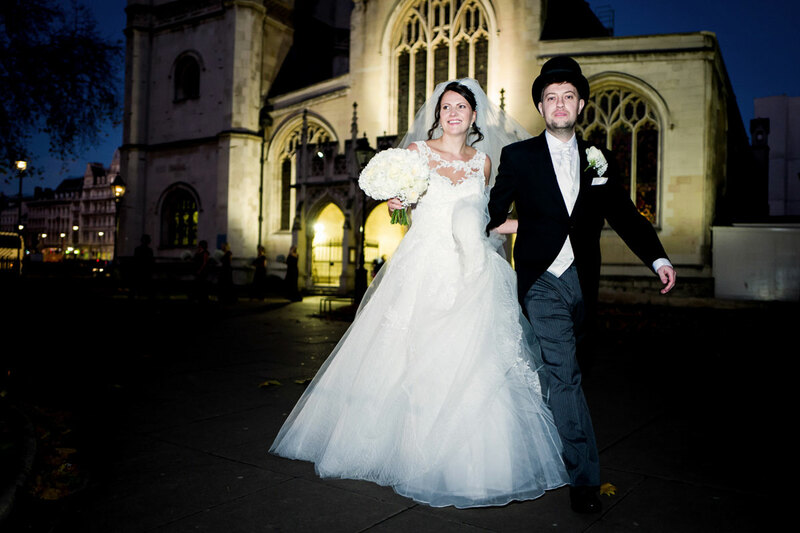 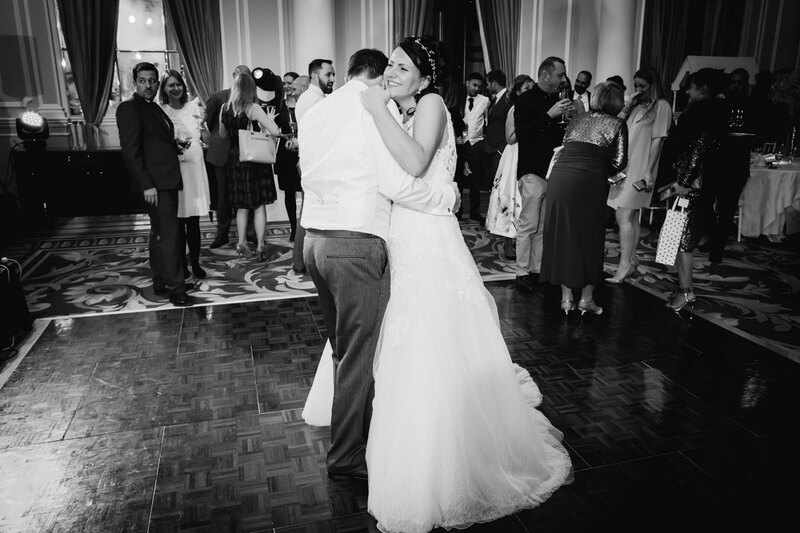 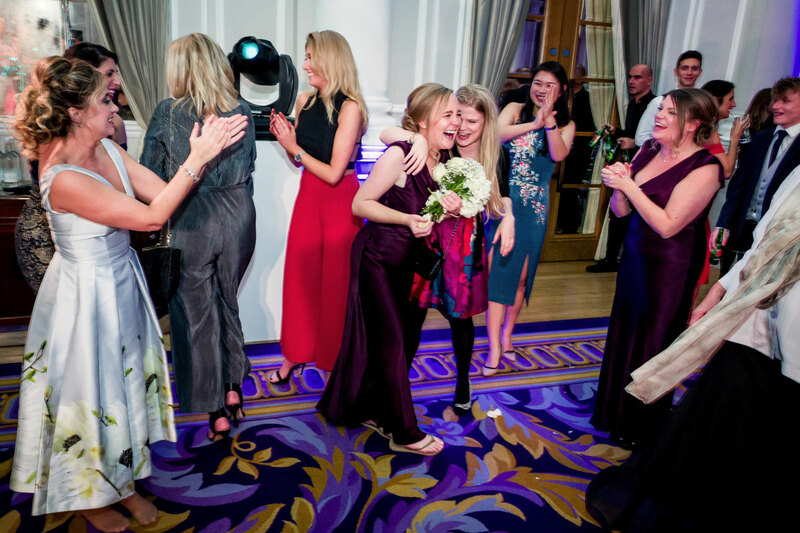 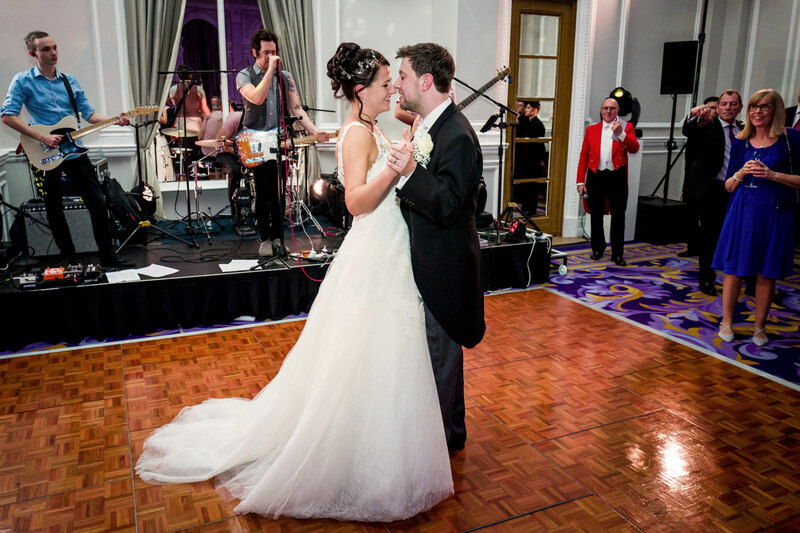 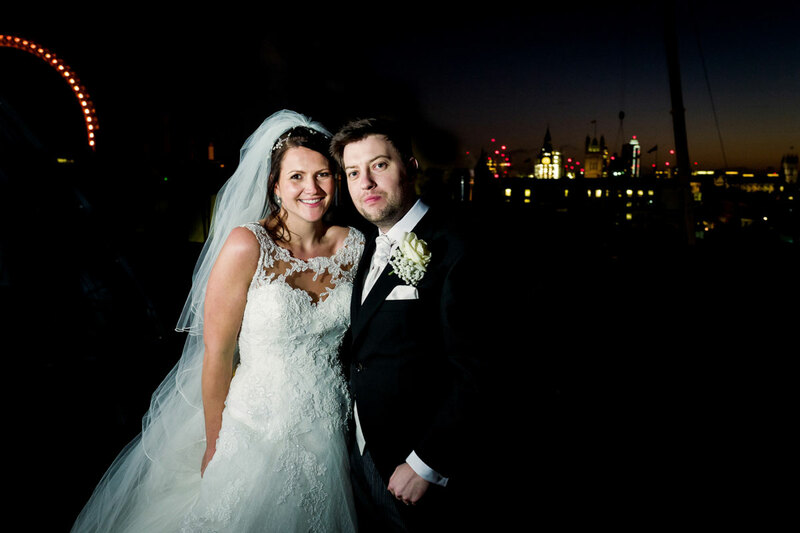 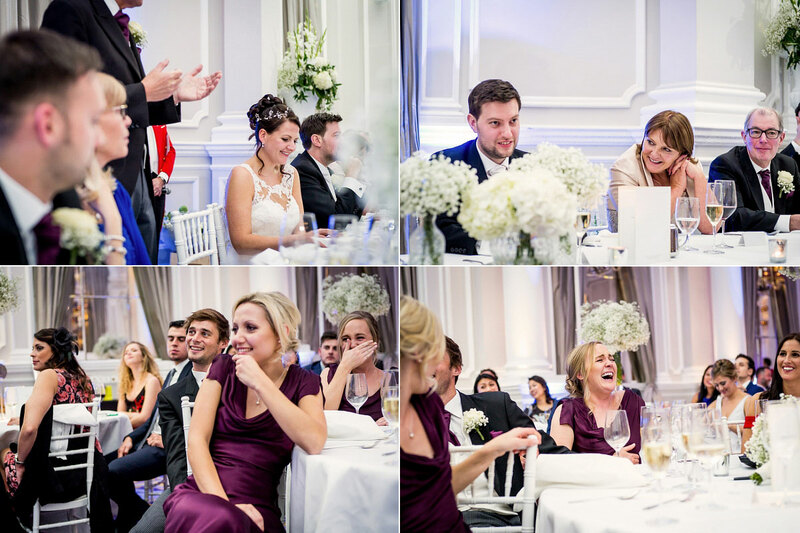 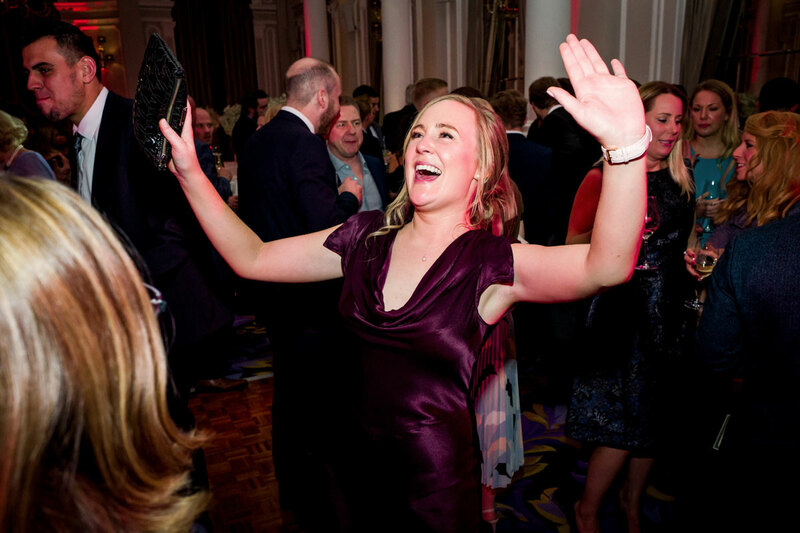 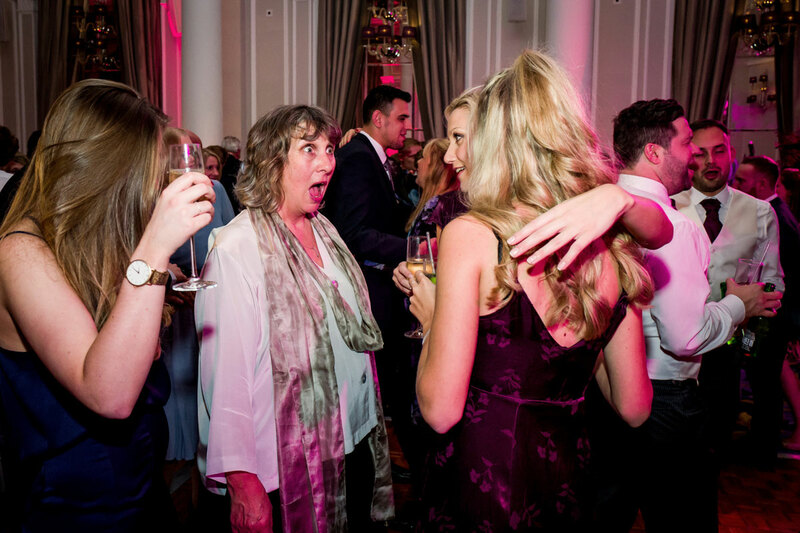 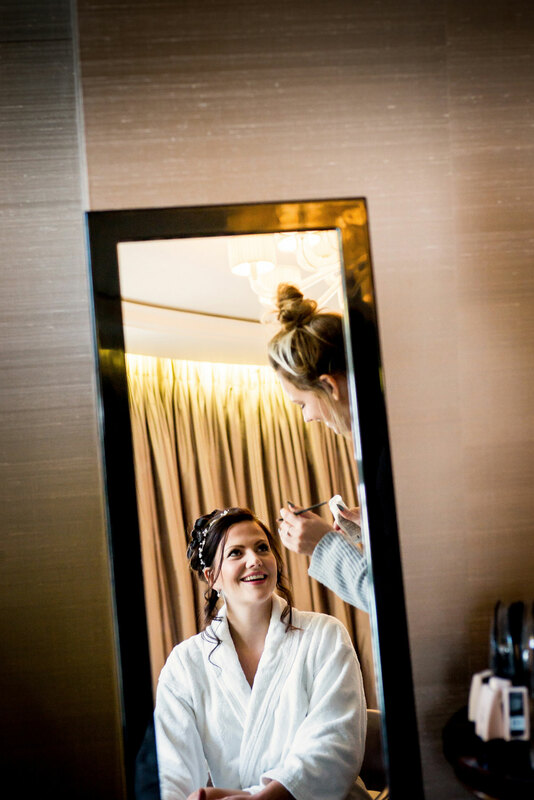 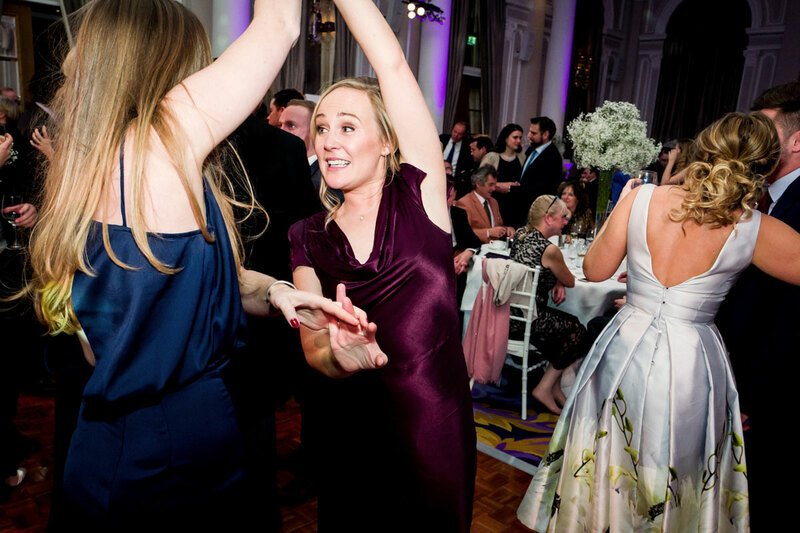 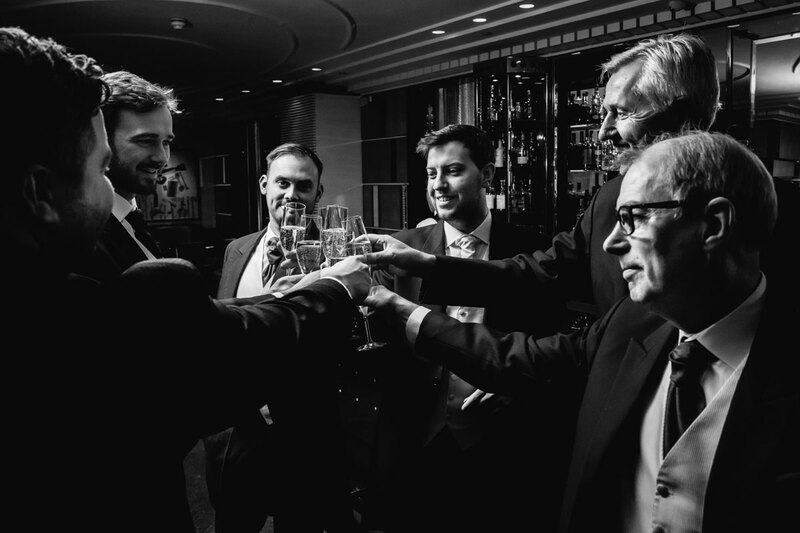 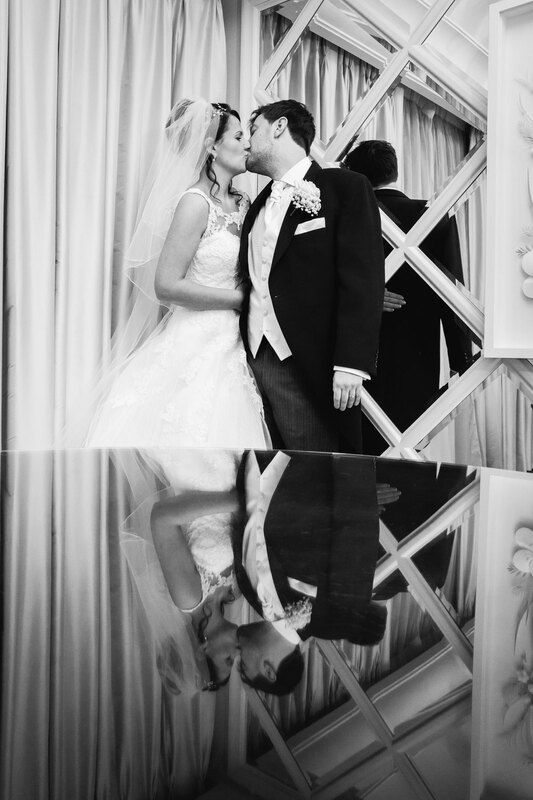 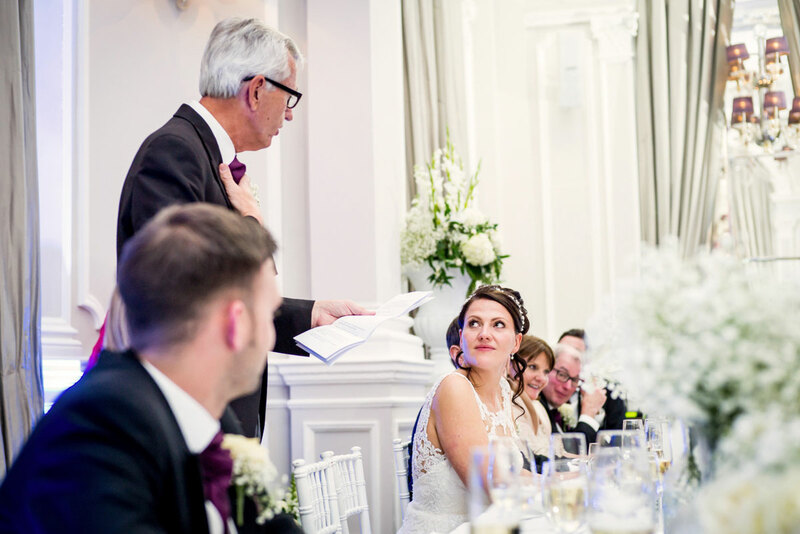 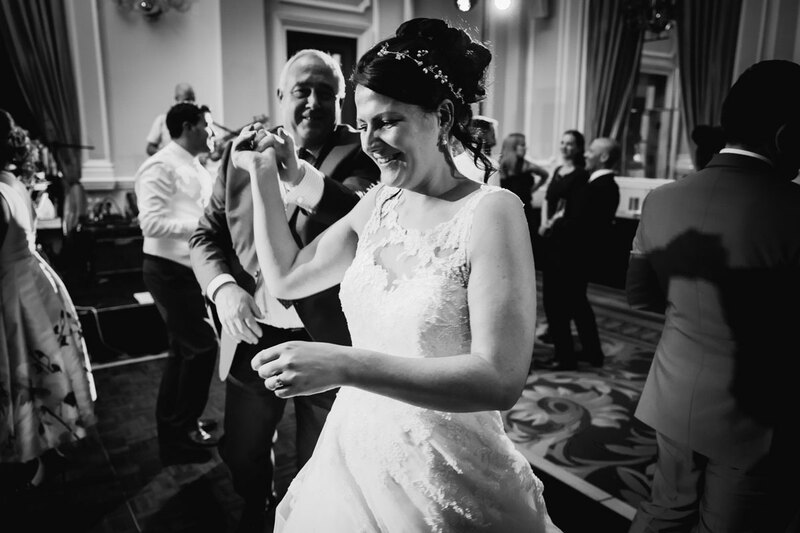 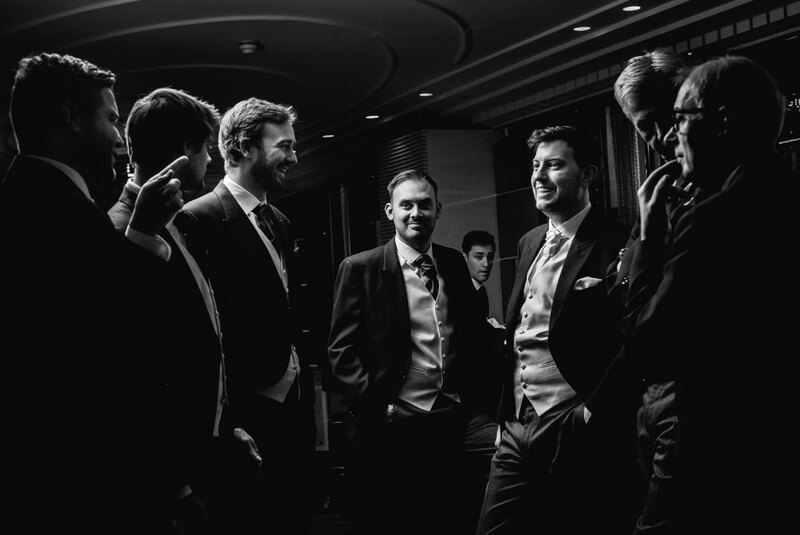 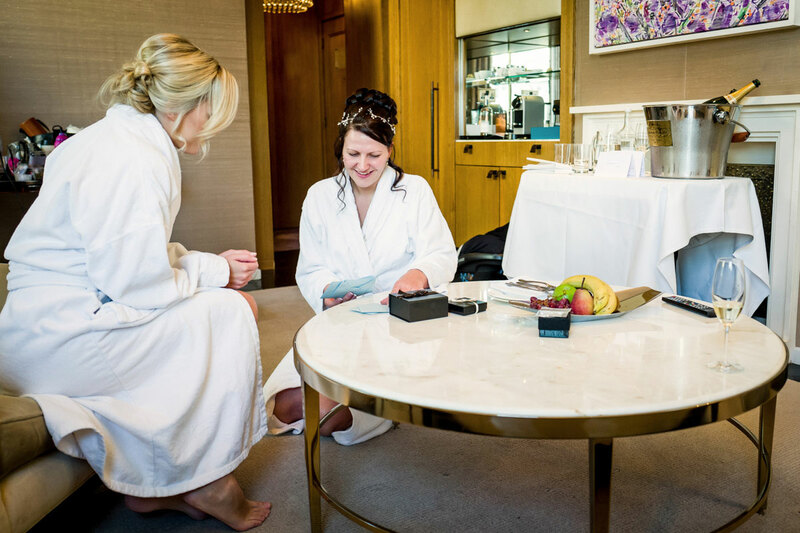 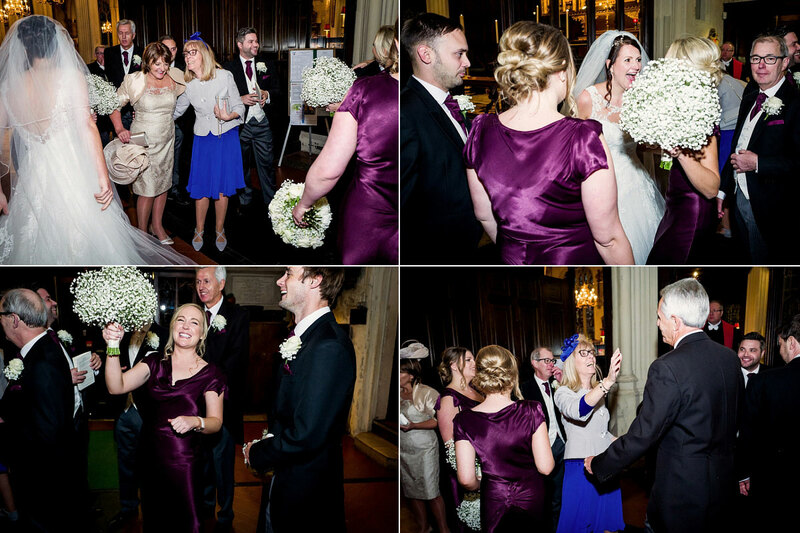 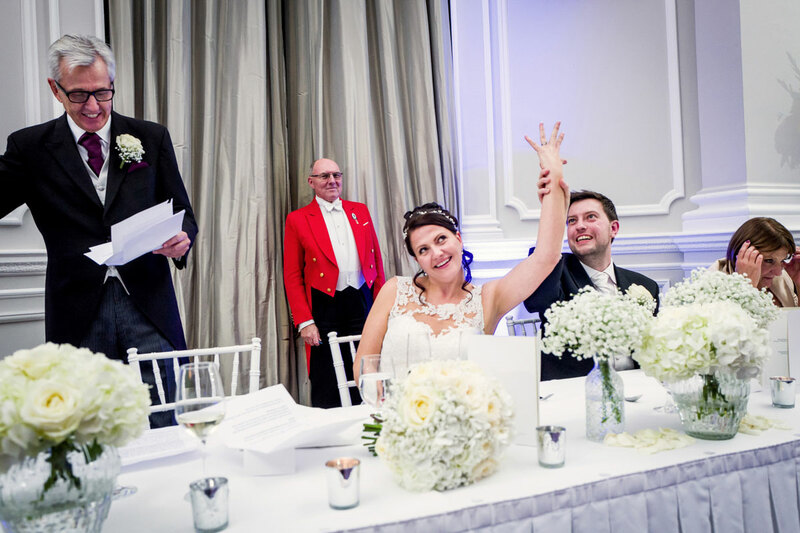 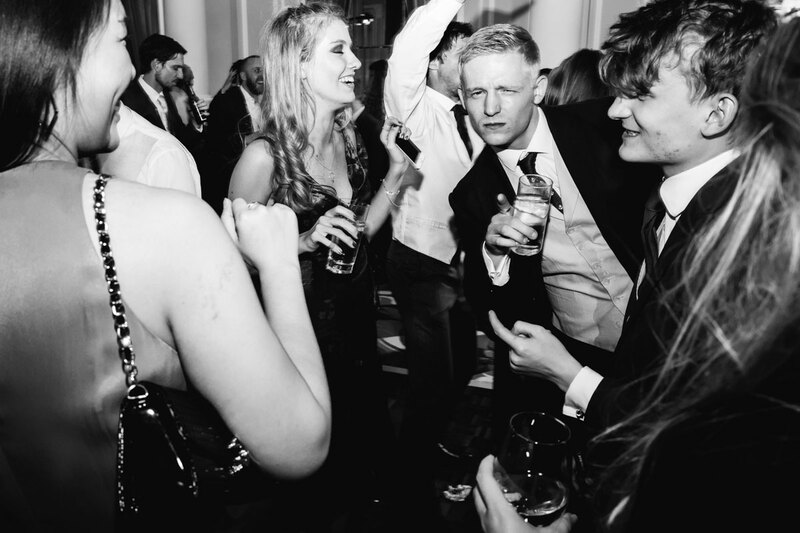 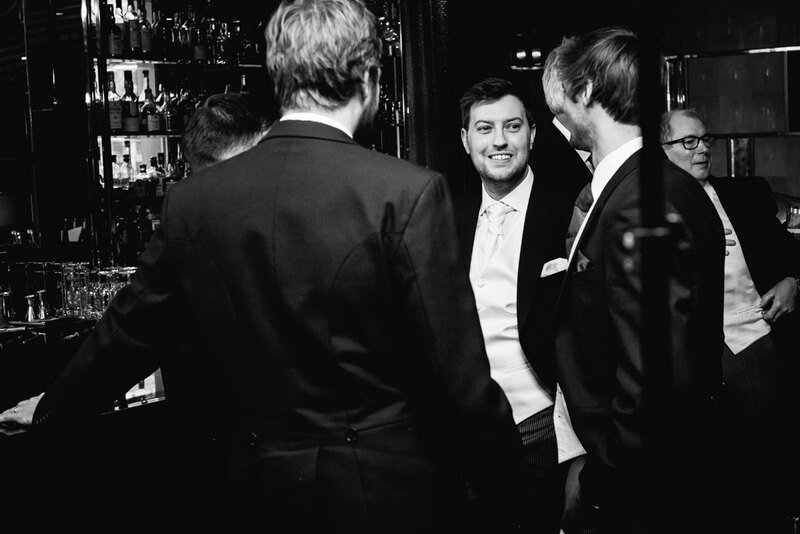 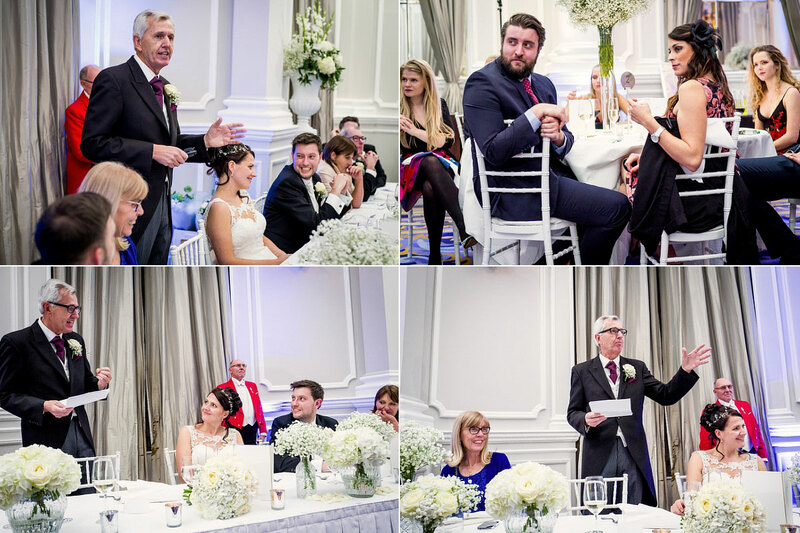 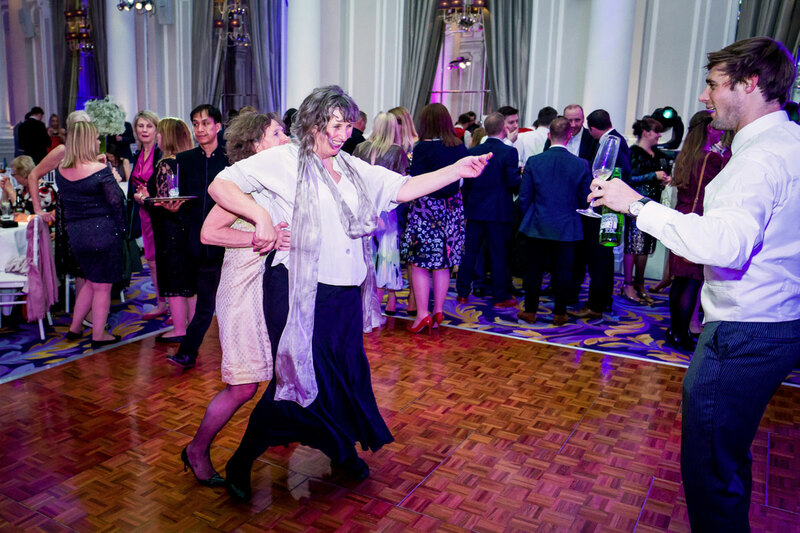 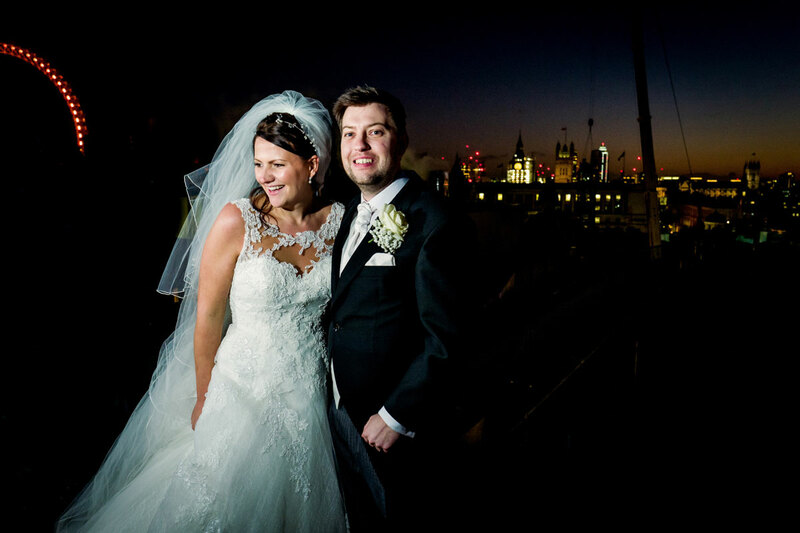 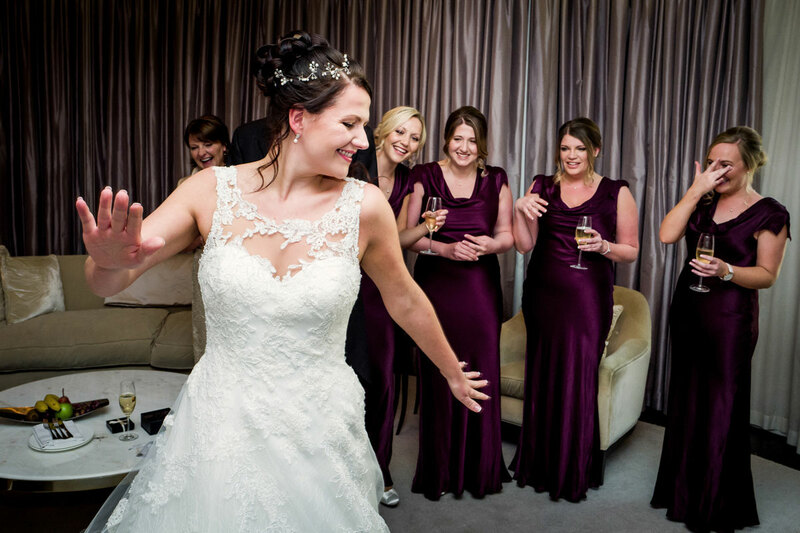 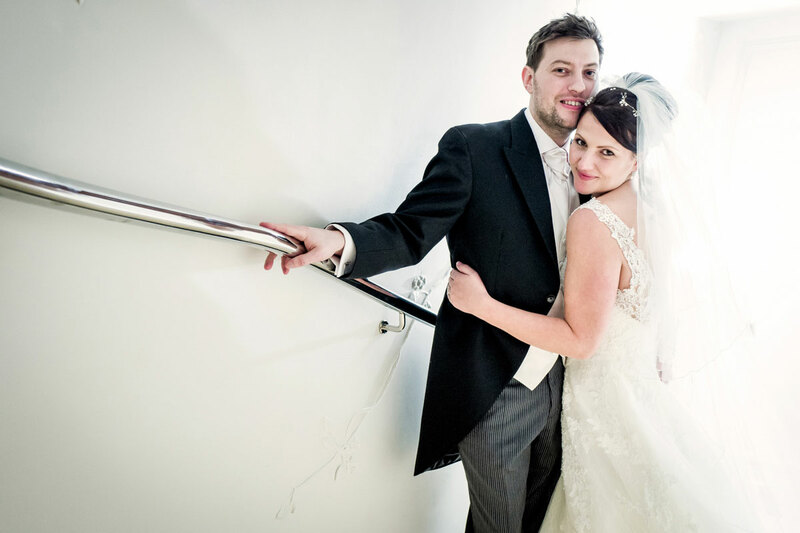 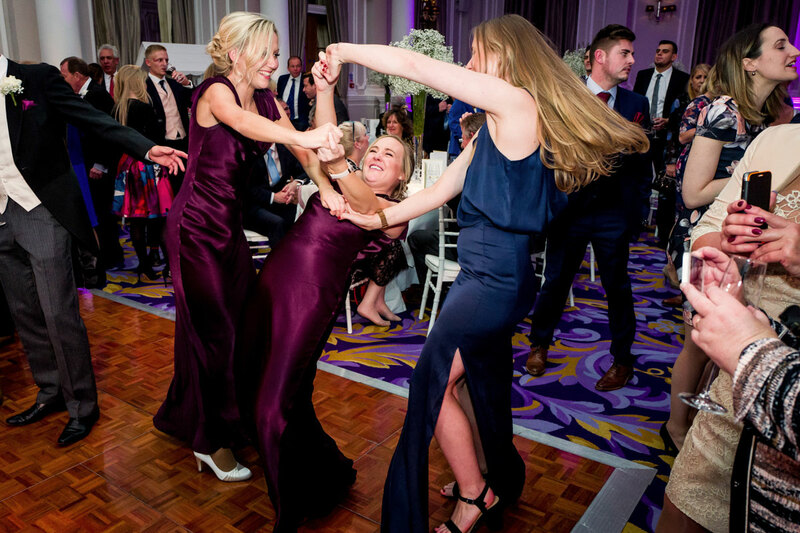 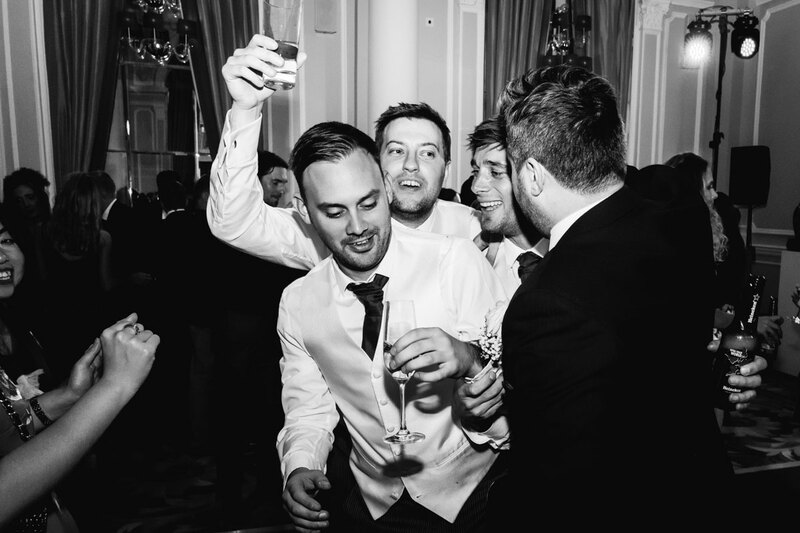 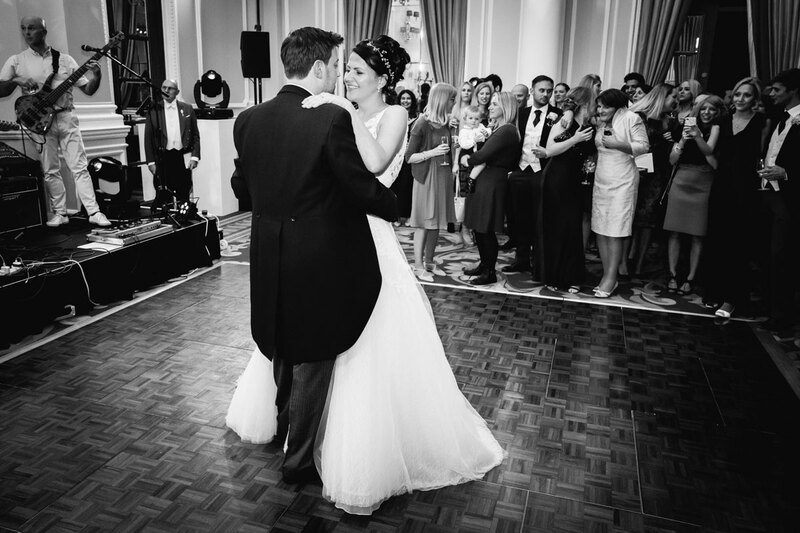 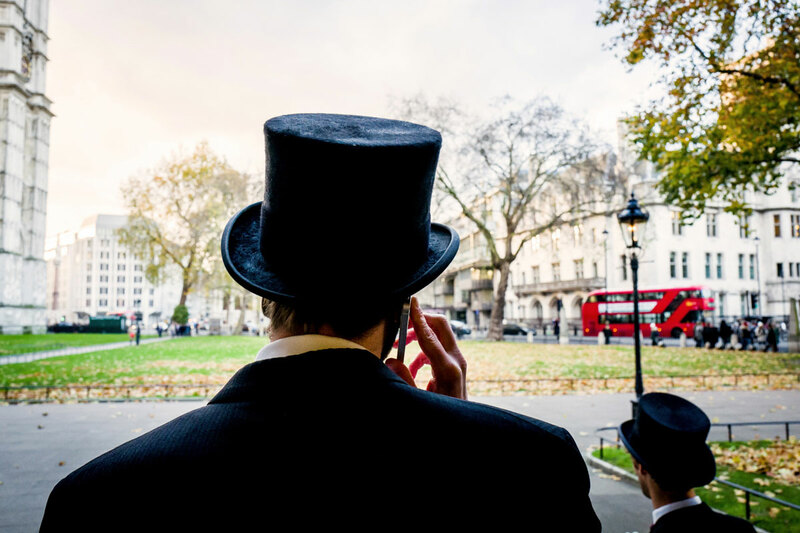 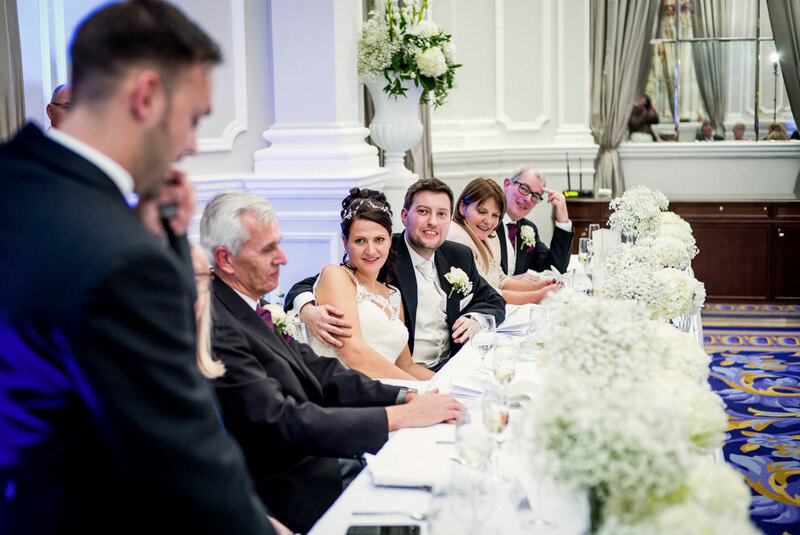 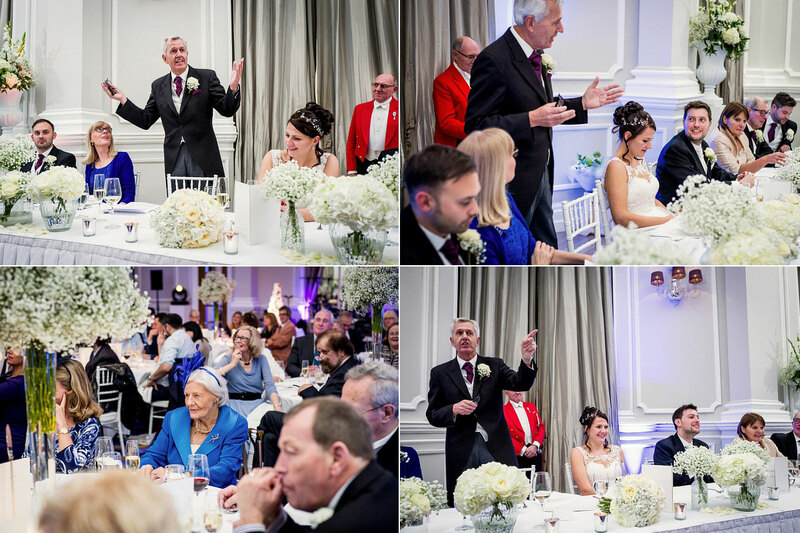 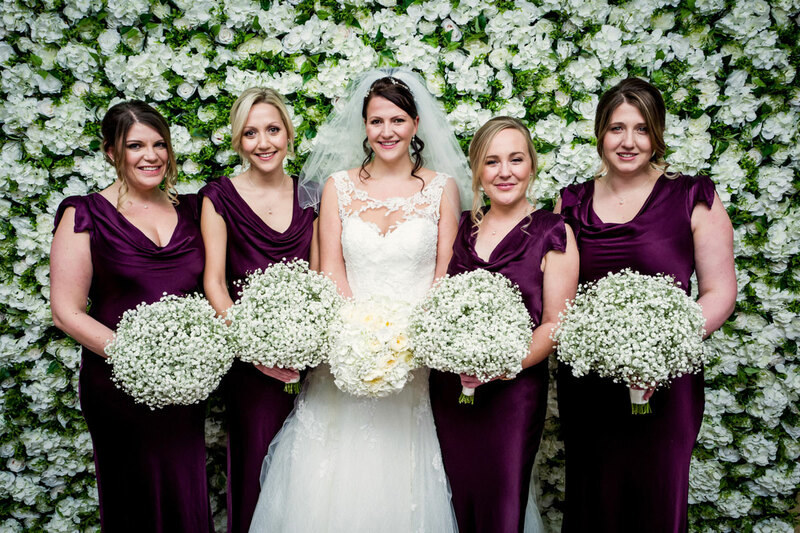 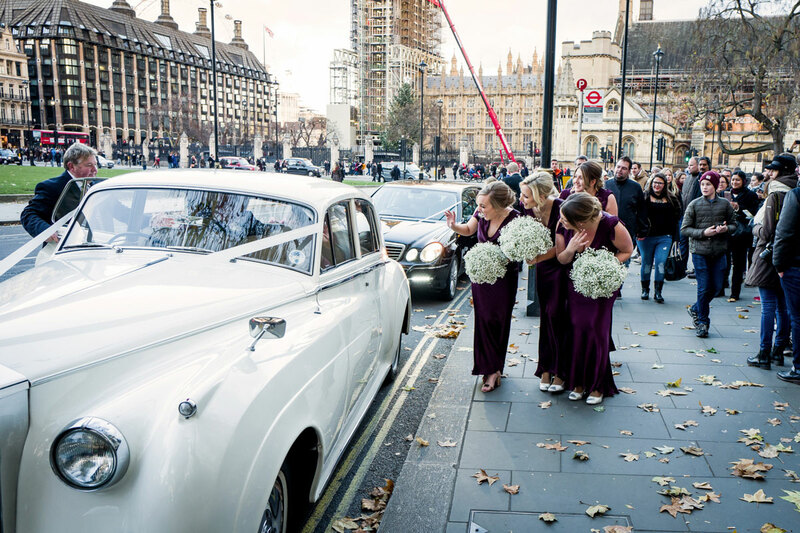 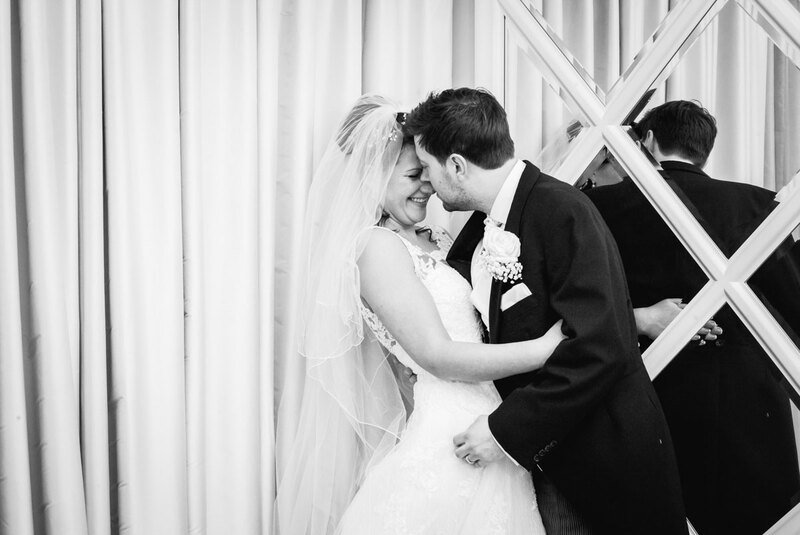 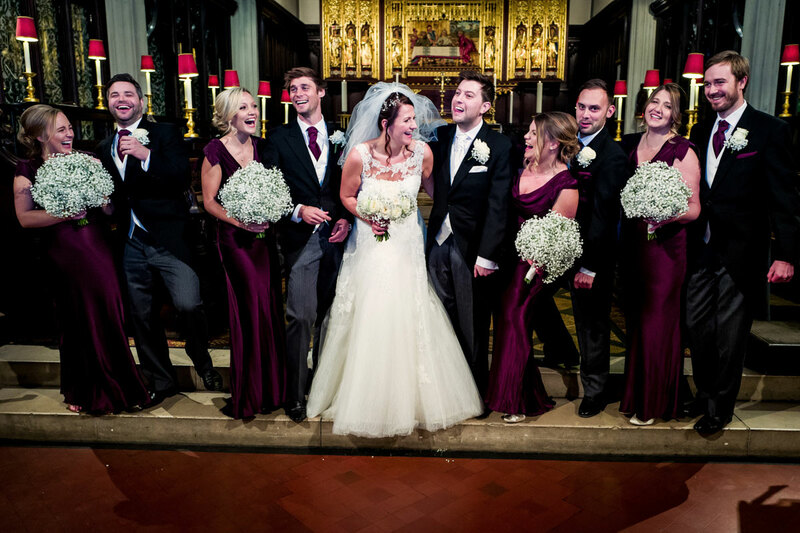 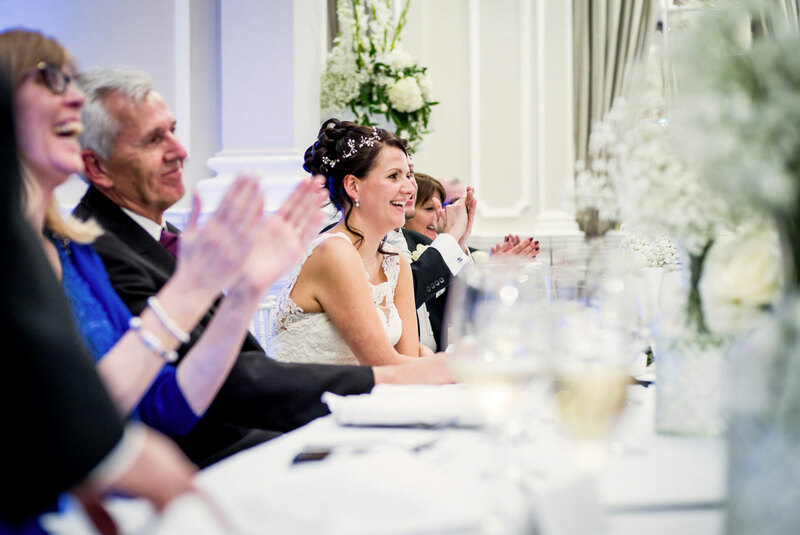 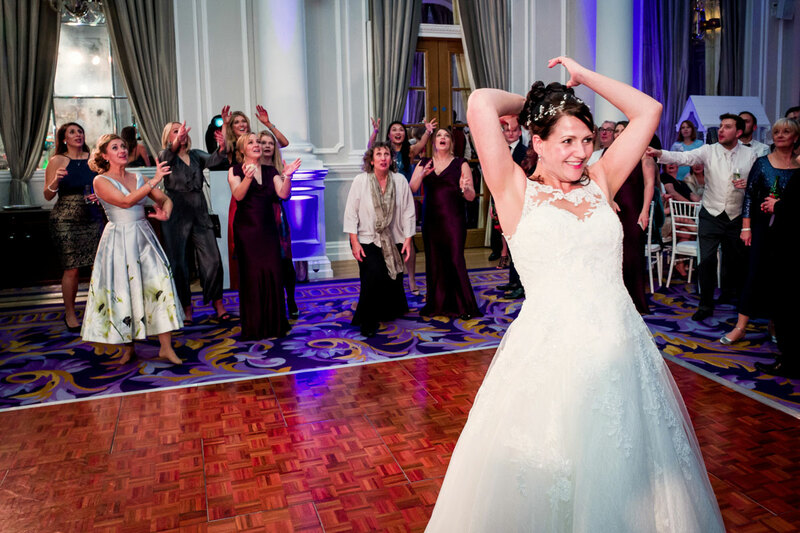 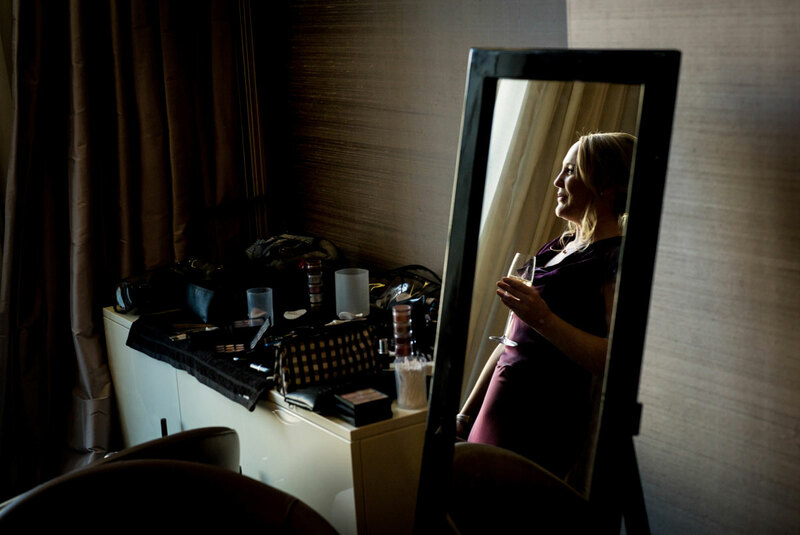 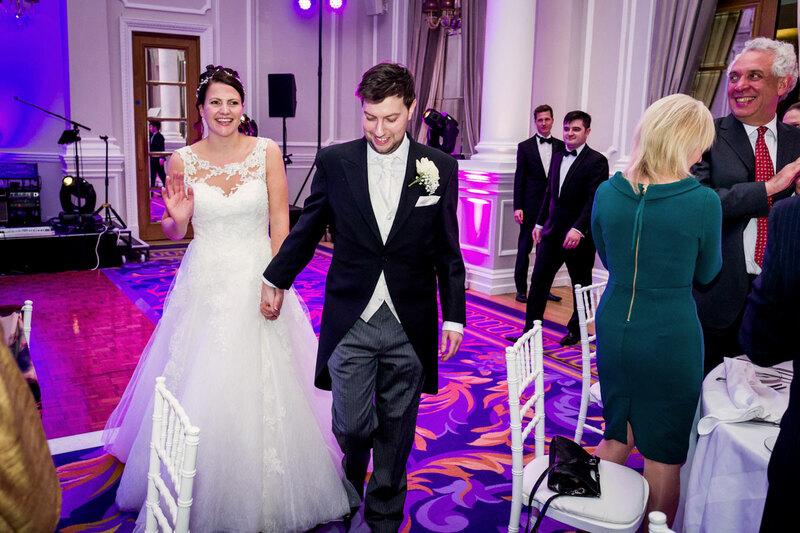 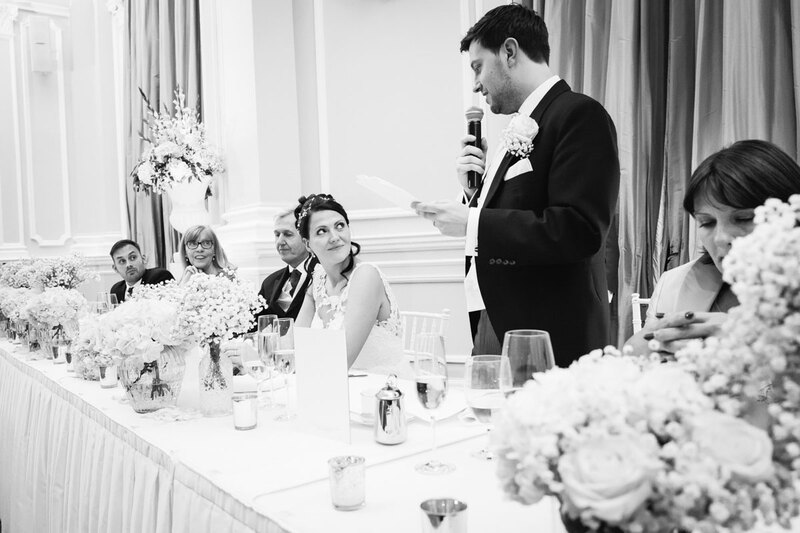 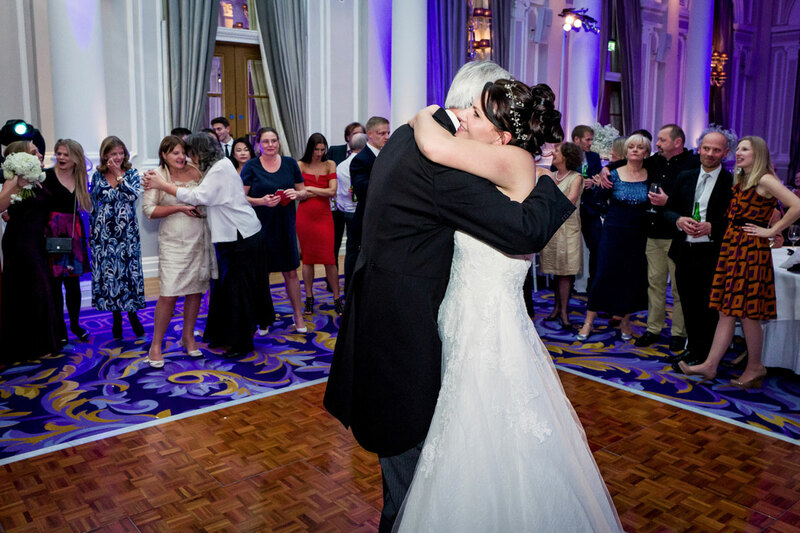 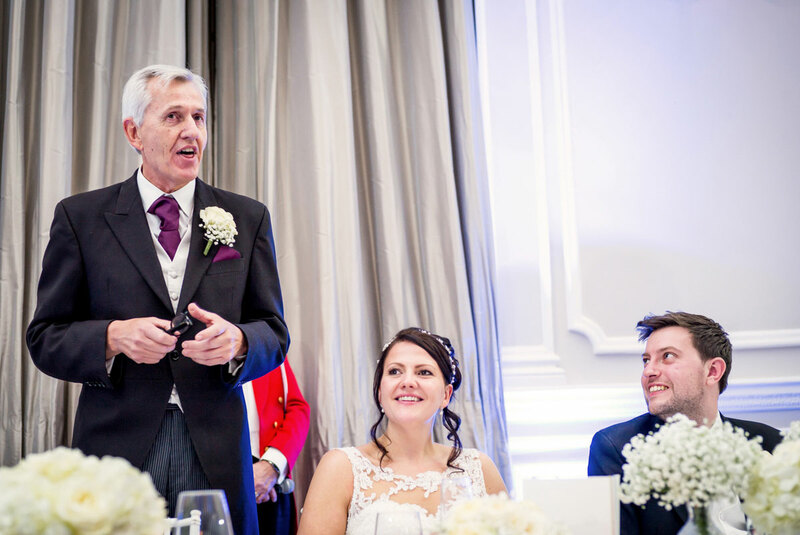 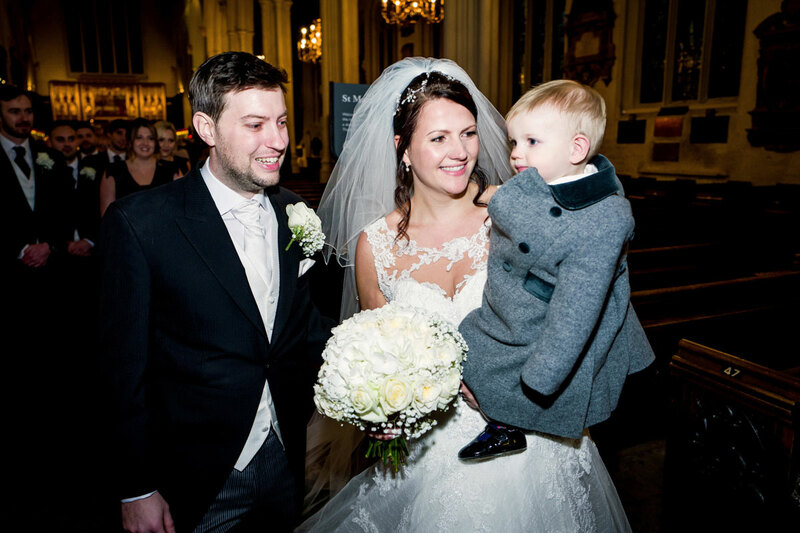 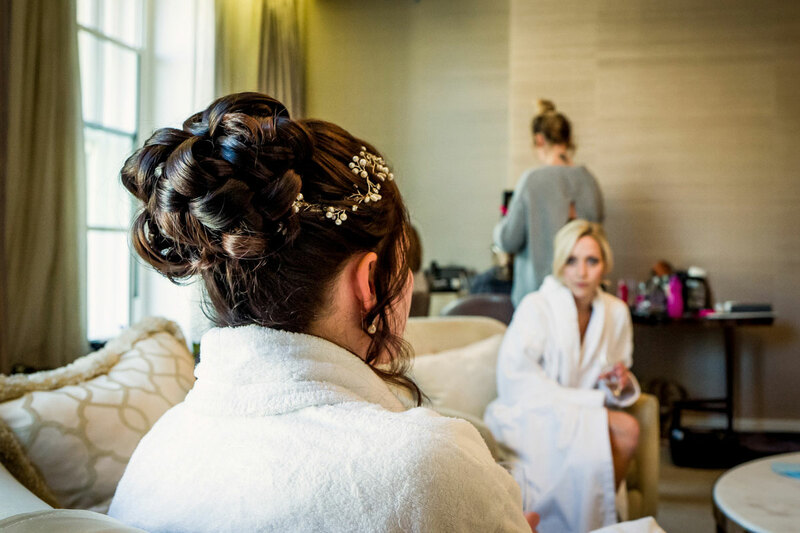 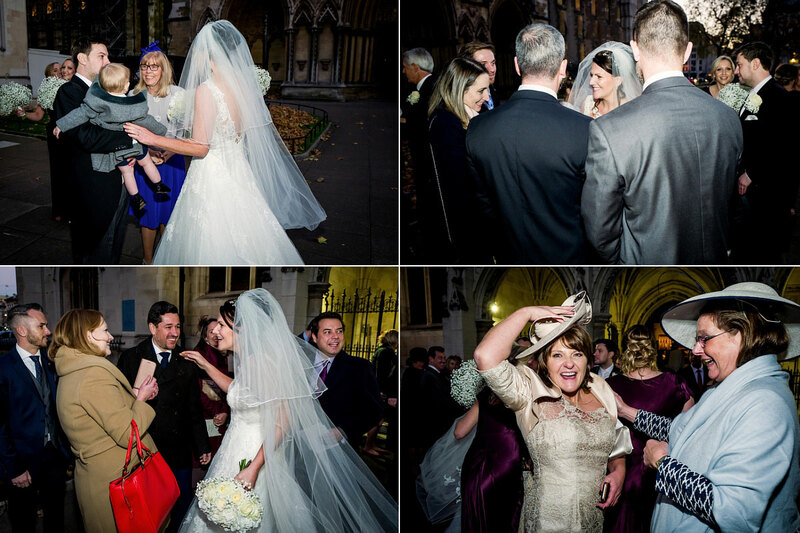 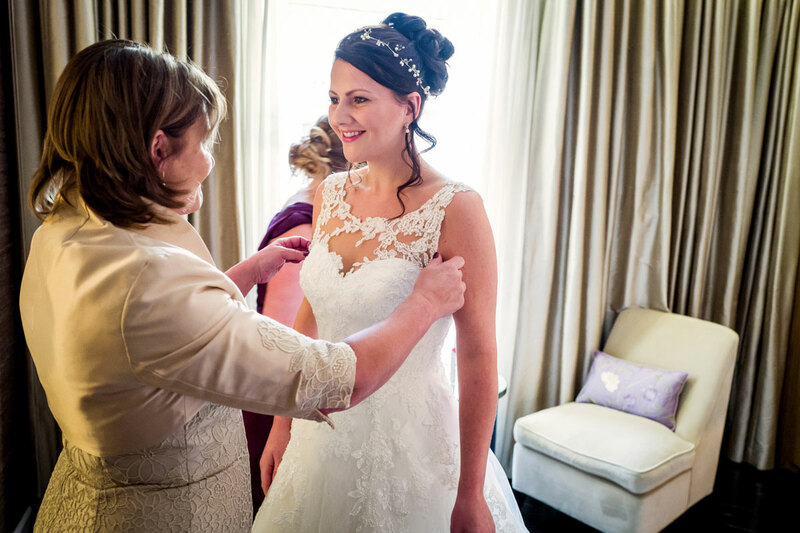 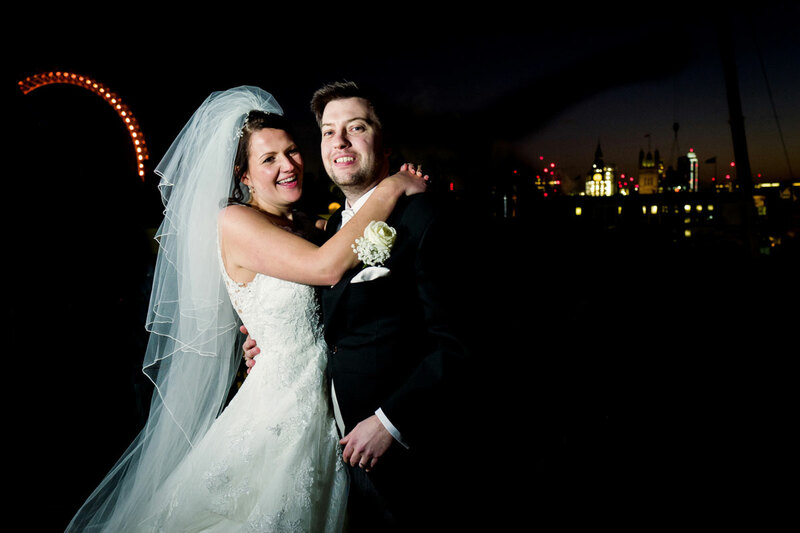 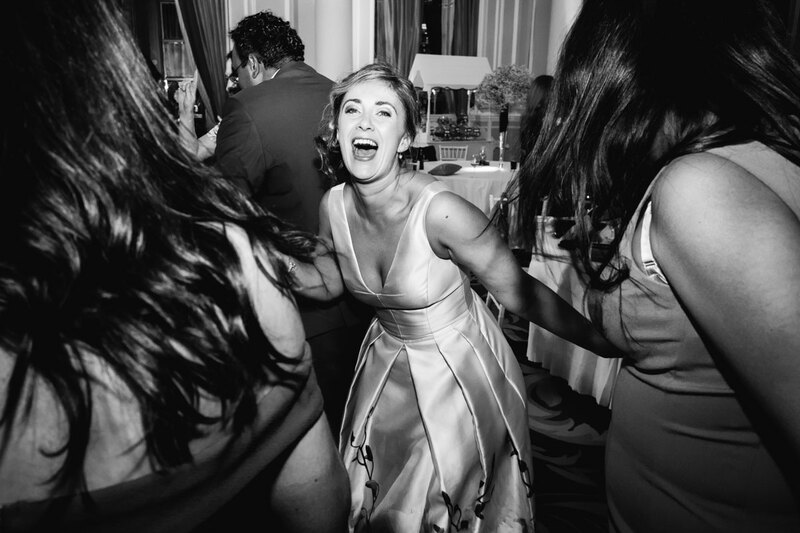 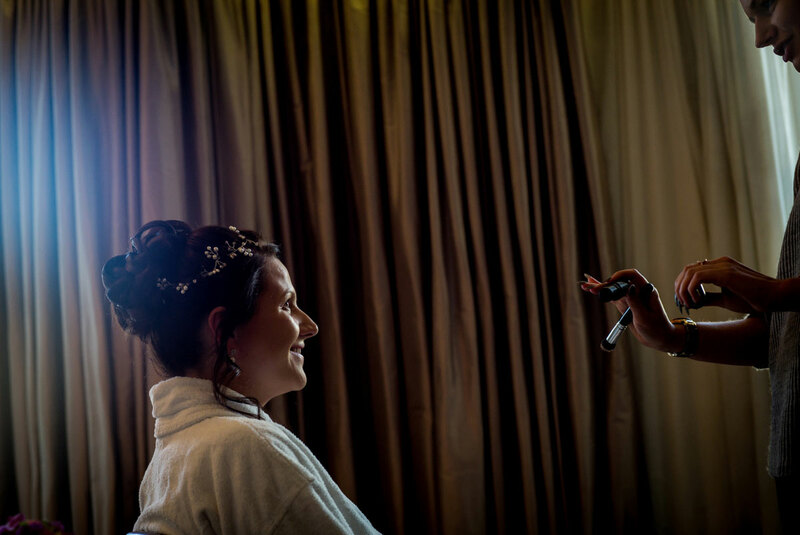 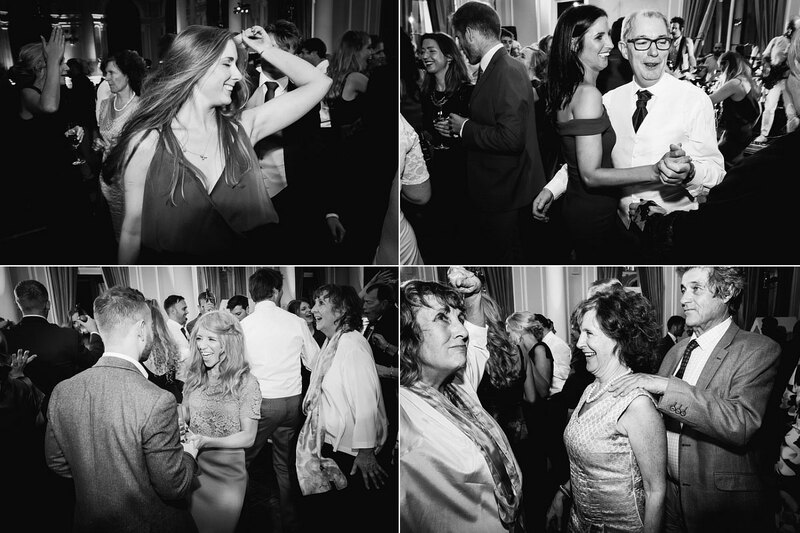 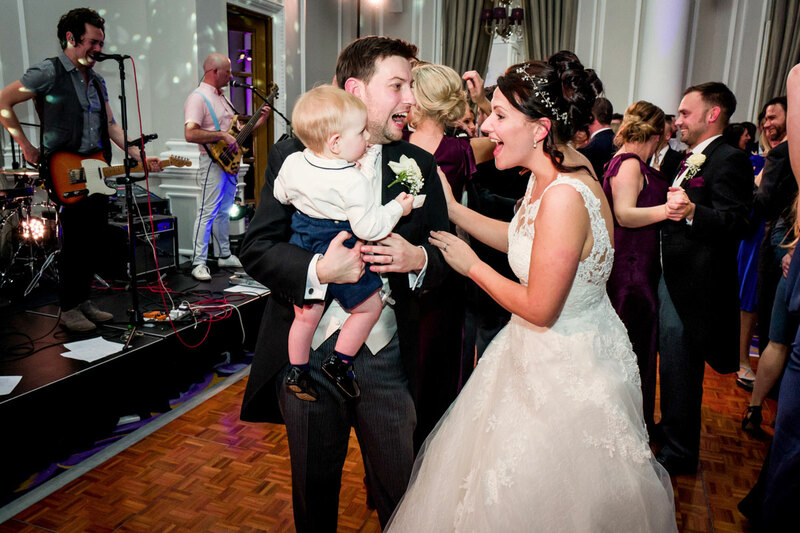 Laura and Jack originally had their Corinthia Hotel London wedding planned for earlier in the year but decided to wait and have a winter wedding in Whitehall just last week. 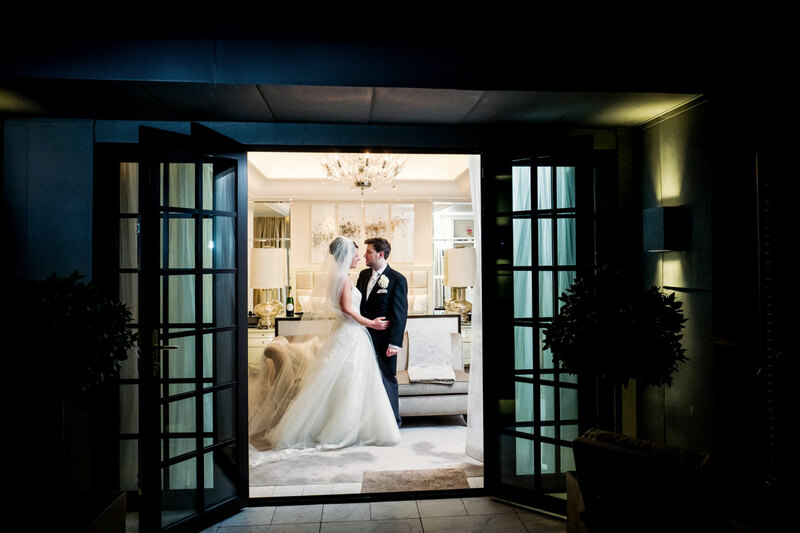 Wedding HQ for the day was the sumptuous Corinthia London . 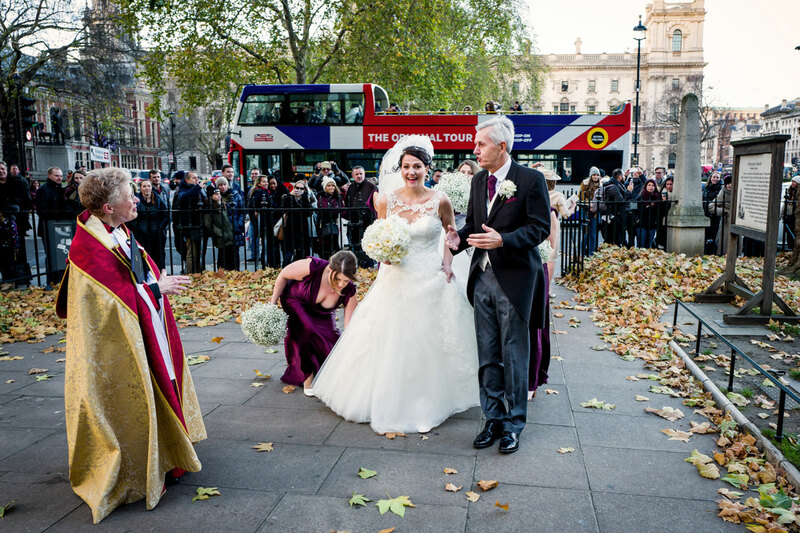 They really do ensure their wedding couples get the red carpet treatment. 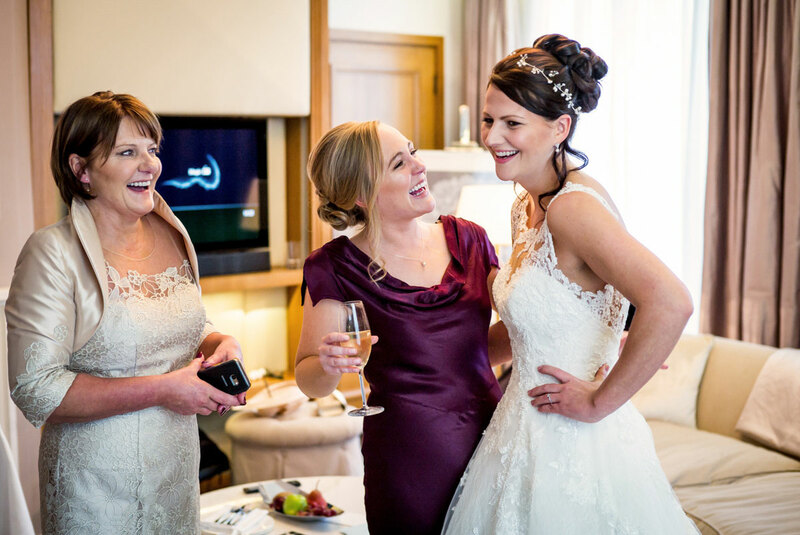 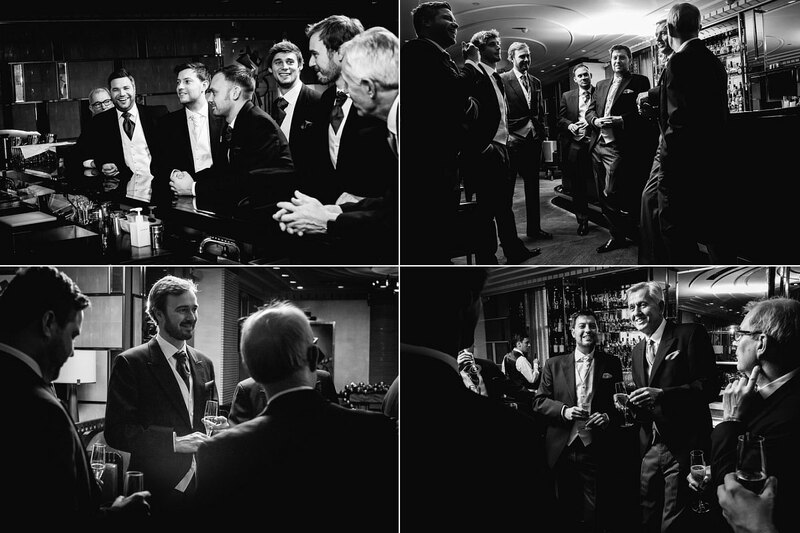 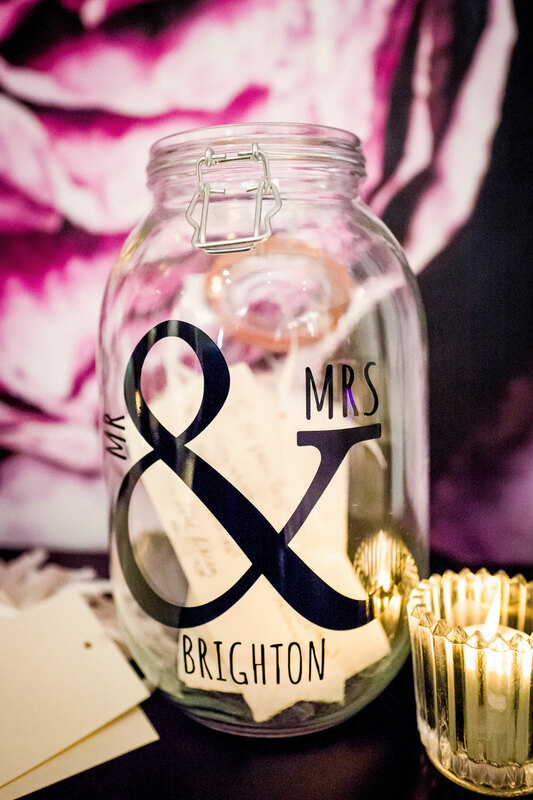 Not only were we able to ‘borrow’ a suite for the couple session post ceremony, they opened the Bar downstairs pre ceremony for Jack and his men to chill with some champers before heading out for lunch and the church. 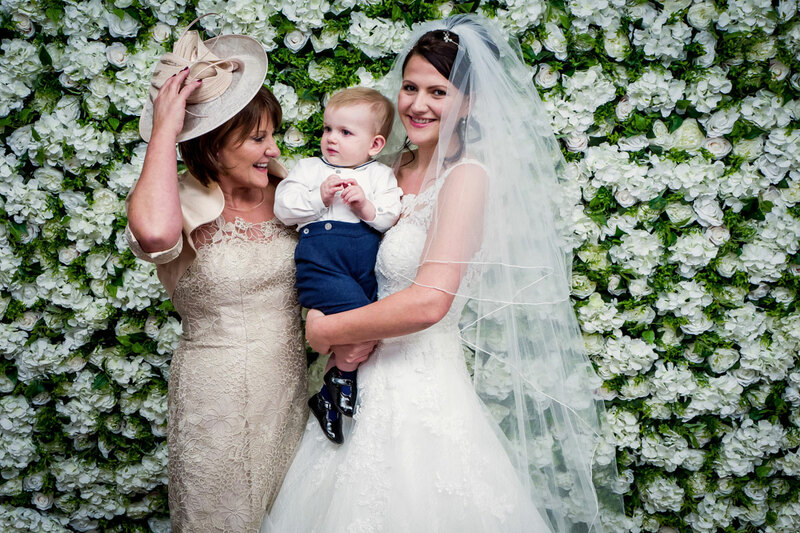 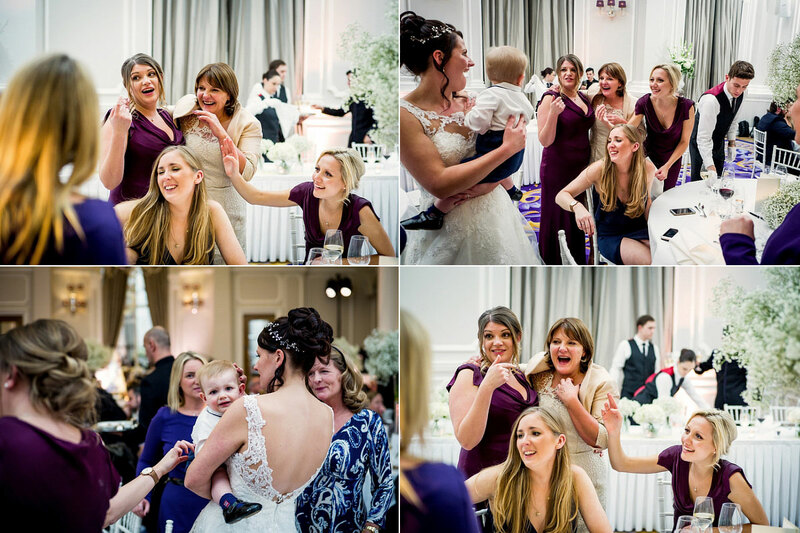 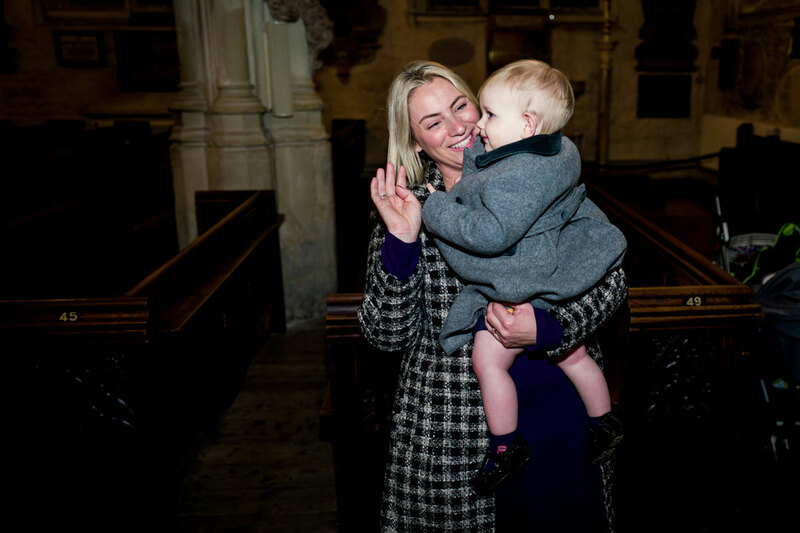 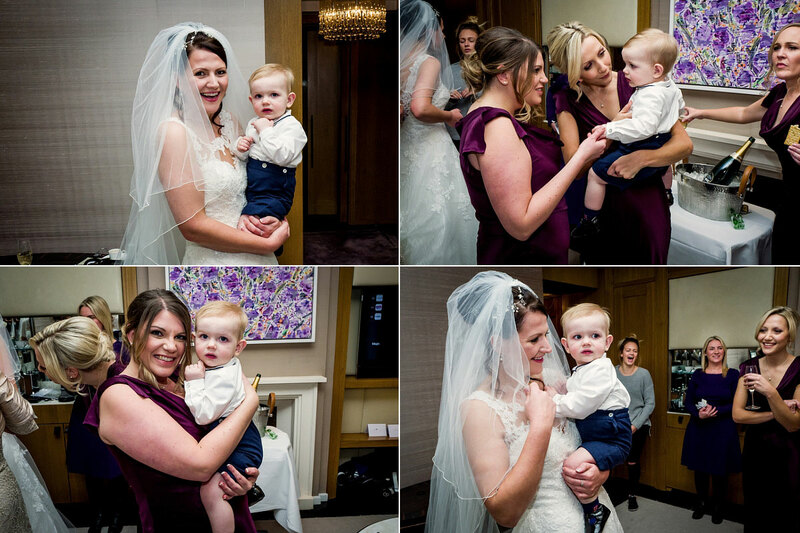 Whilst all this was going on Laura and her girls went about the bridal preps upstairs with the occasional cameo appearance from son Henry (post sleep). 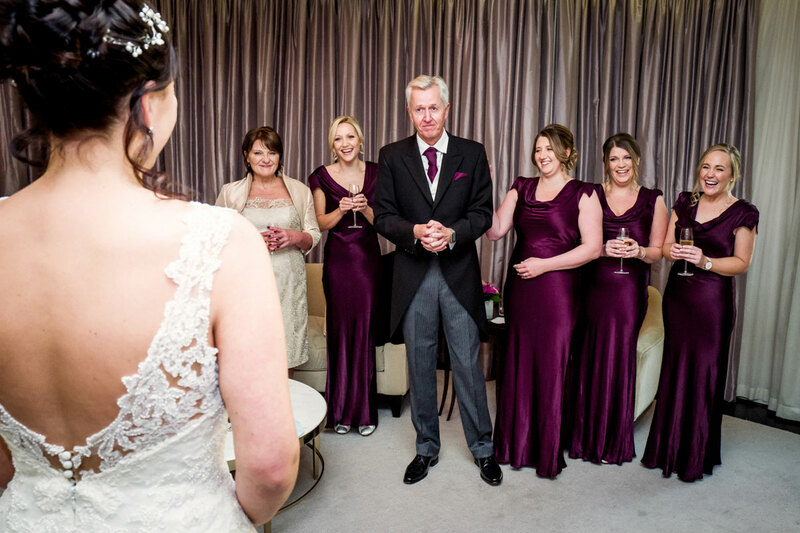 And for any bridesmaids wishing to seek some inspiration for your underwear choices, please just see our range below! 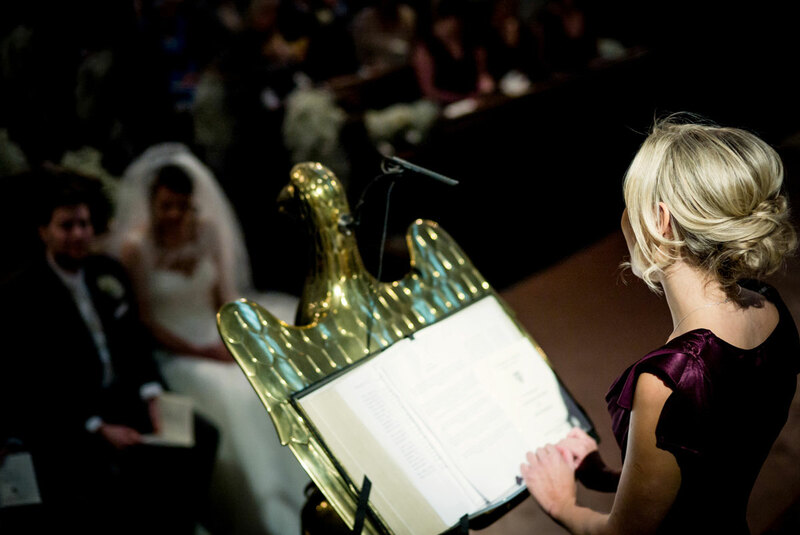 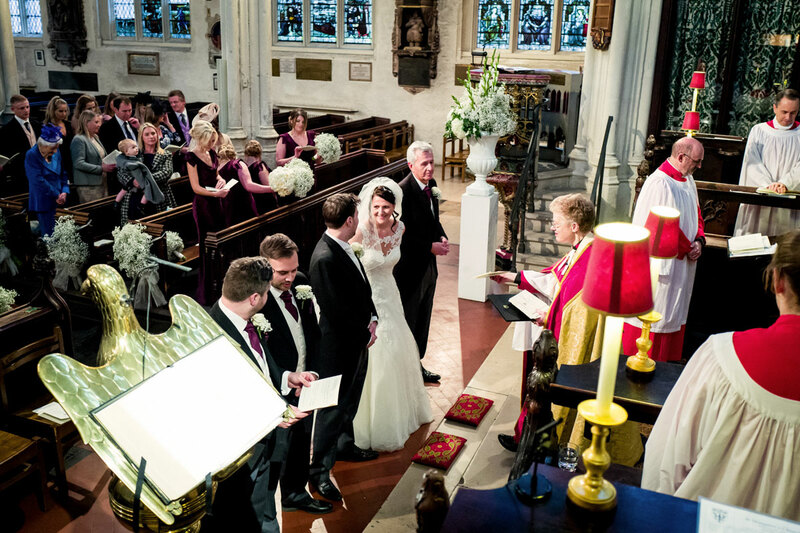 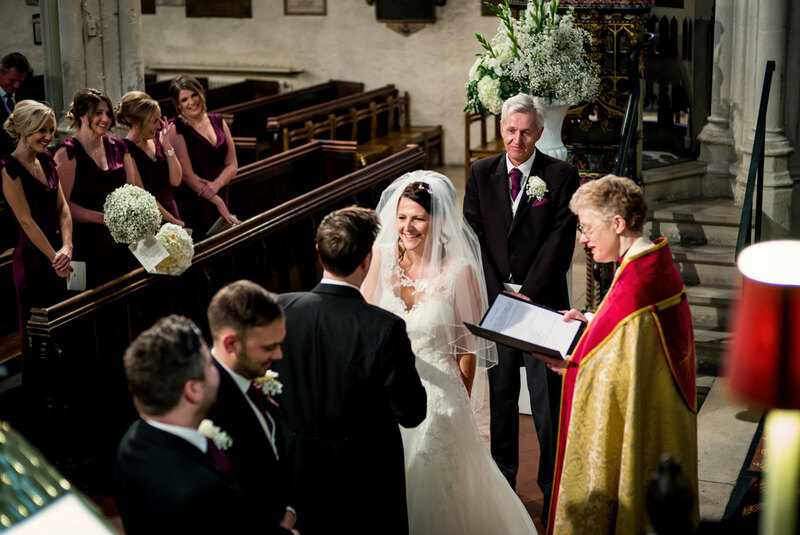 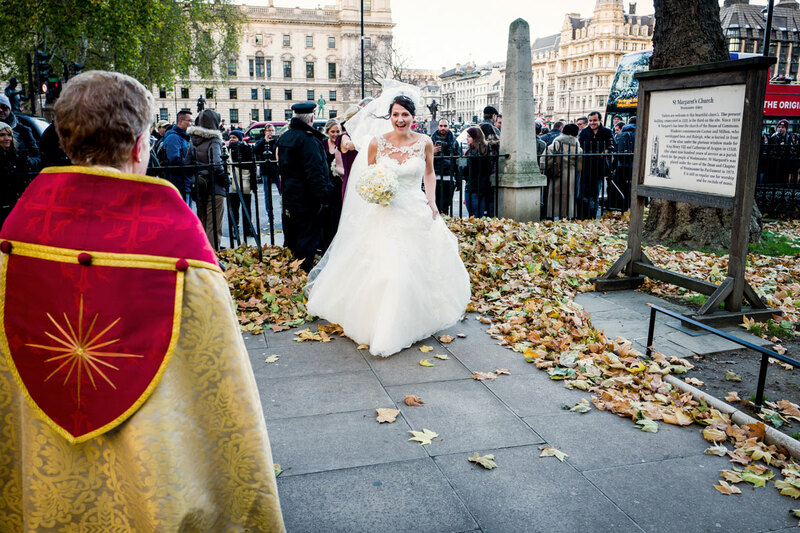 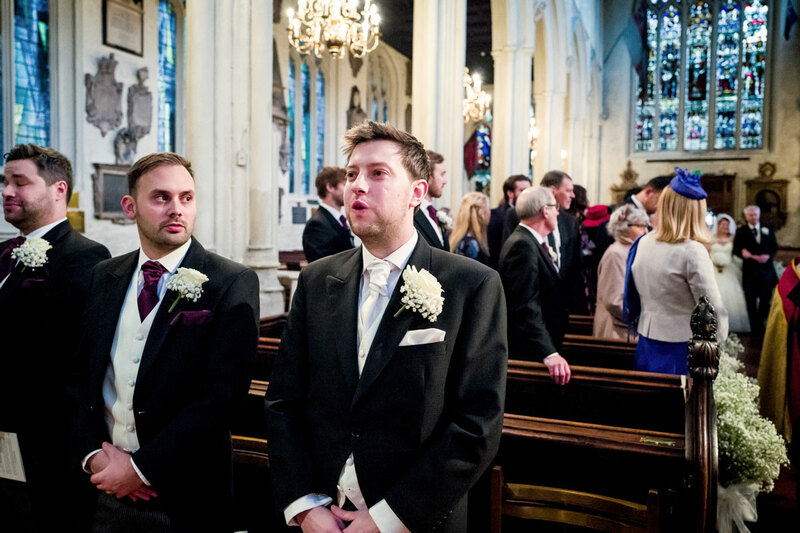 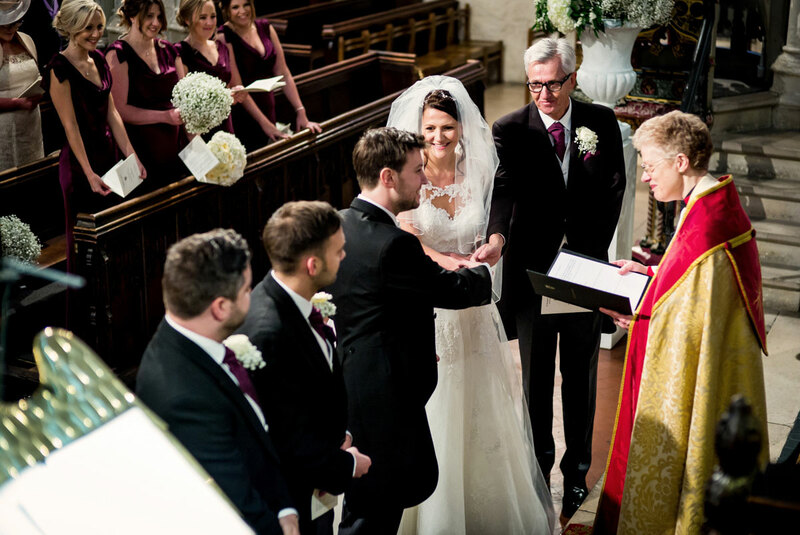 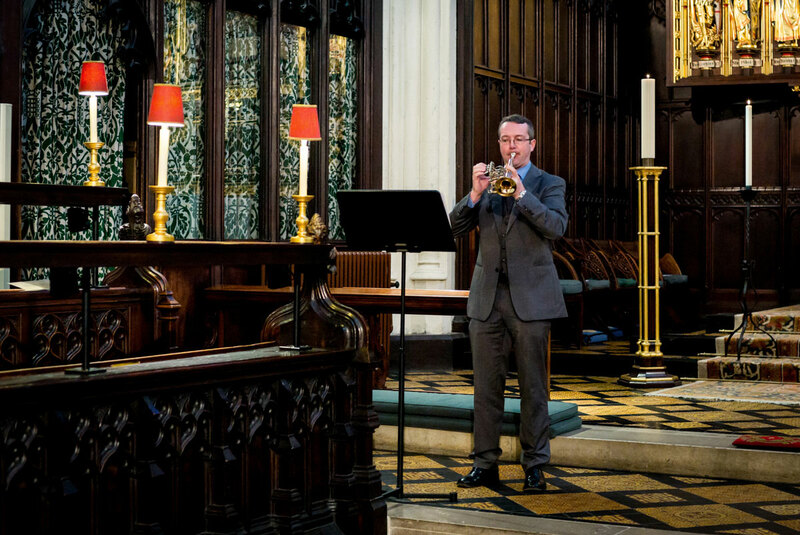 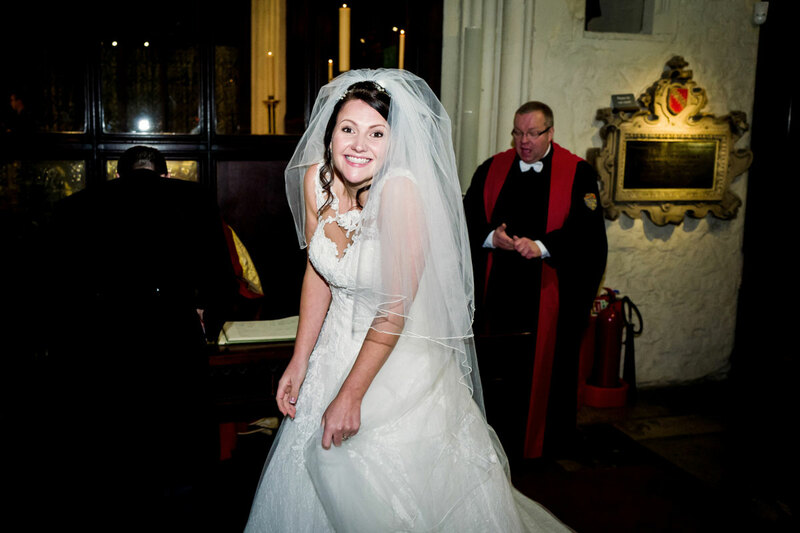 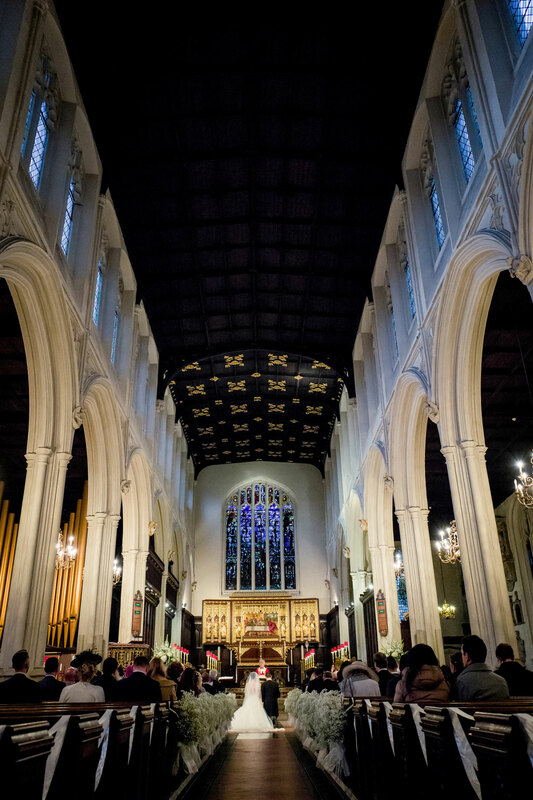 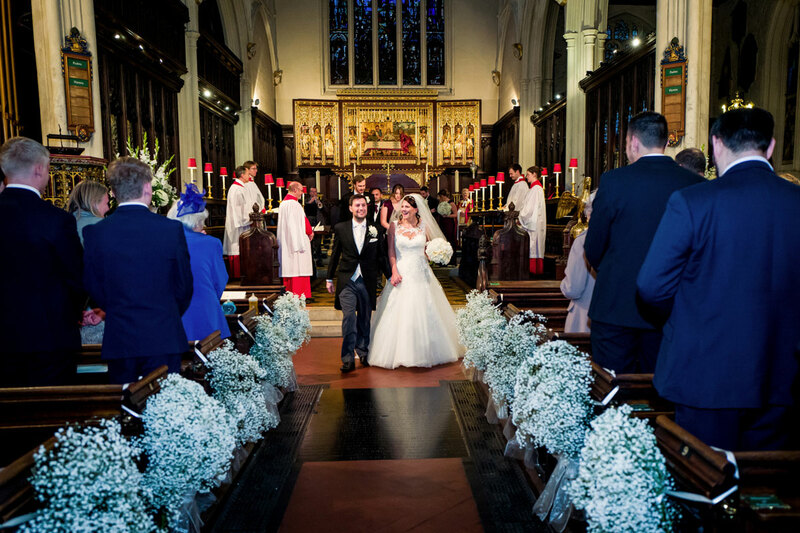 The ceremony itself was just down the road at St Margarets church, Westminster. 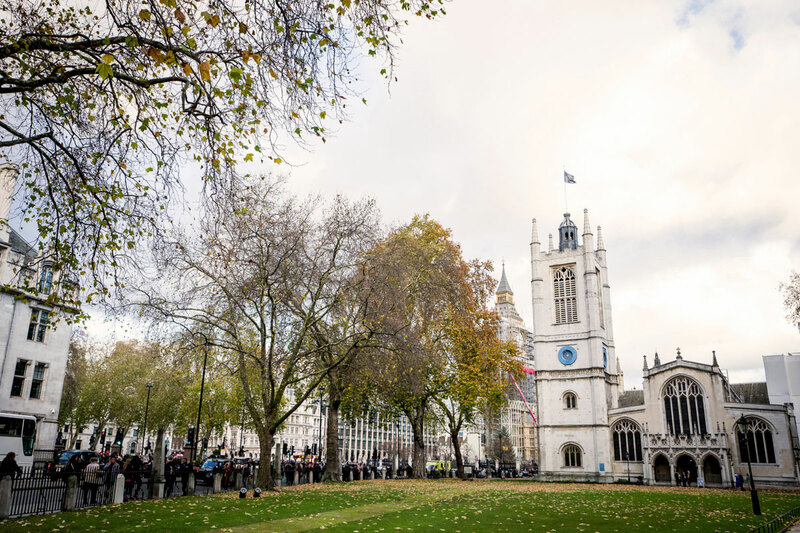 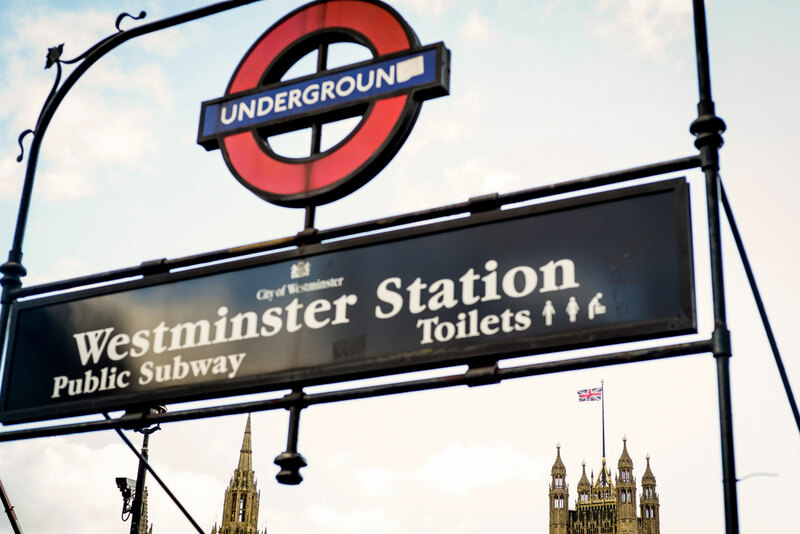 Nestled in Parliament Sq, you could quite easily waltz past the church without noticing because it sits quietly in between the loud speakers that are Big Ben and Westminster Abbey. 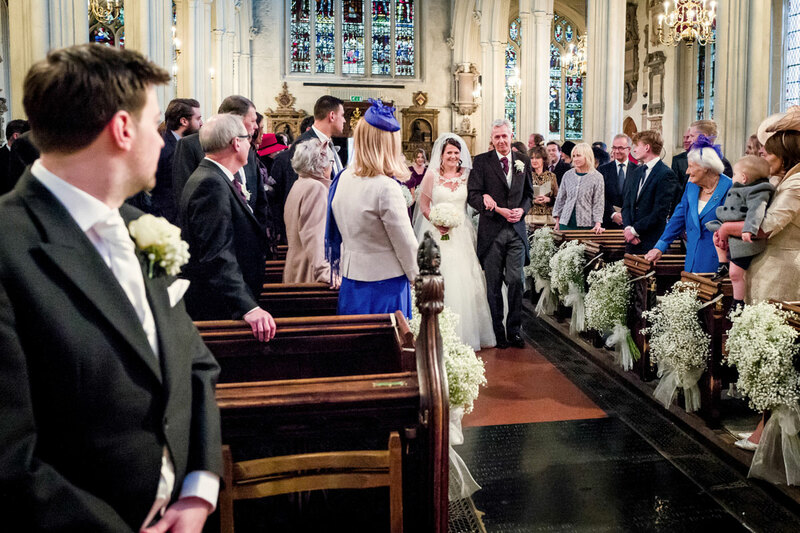 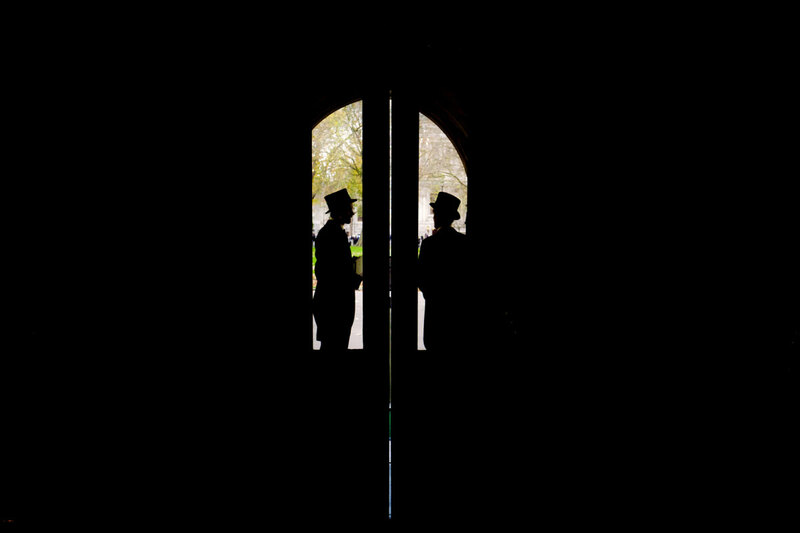 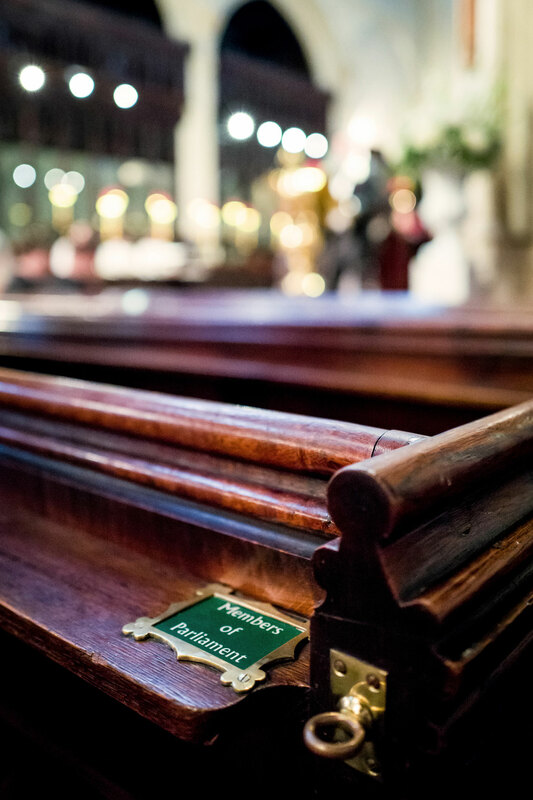 So whilst you obviously get plenty of Tommy tourists looking and watching as you arrive for your wedding, you do not have the issue of any errant tourists sitting in the pews. 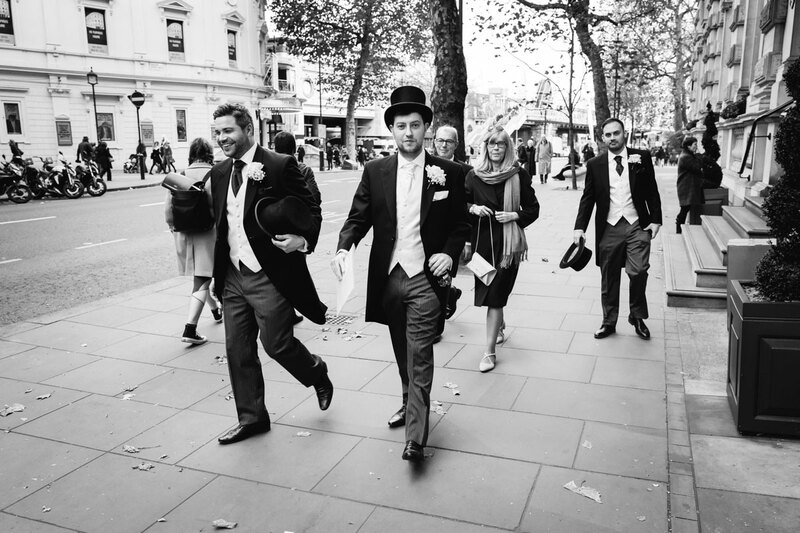 Post ceremony we headed back to wedding HQ to resume proceedings in Whitehall. 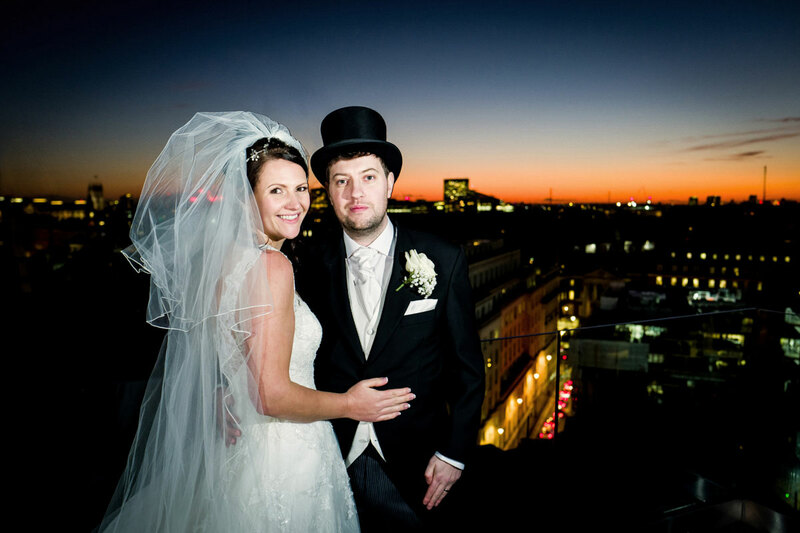 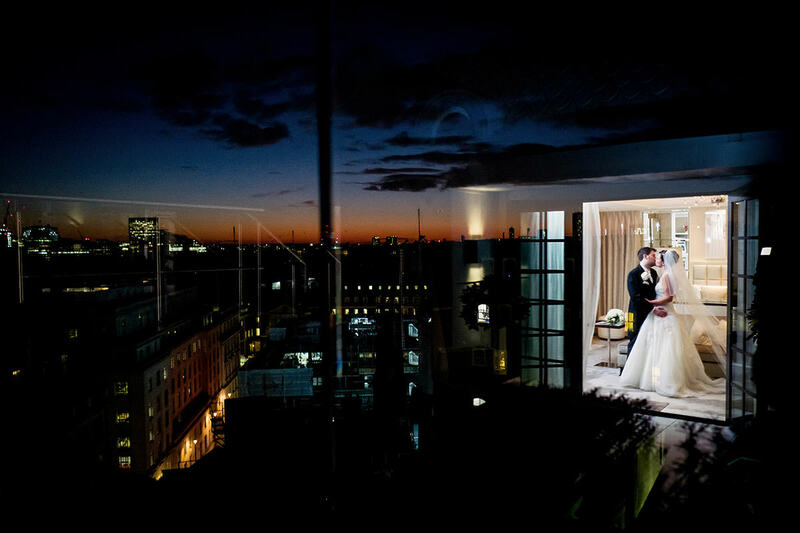 Photo session was of the roof top variety so we could take in the London skyline and the rather fine sunset that was taking place behind us before settling back into the luxury of the suite. 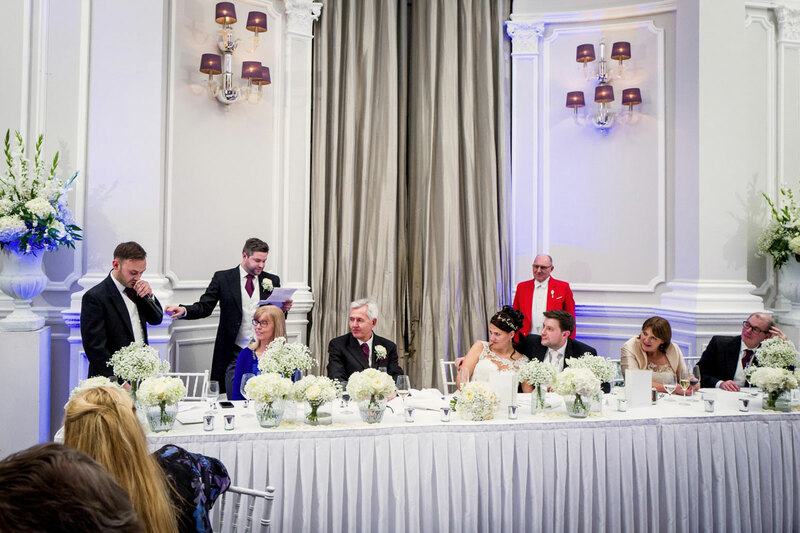 Wedding breakfasts were waiting though and food and drink aplenty were the order of the day before speeches gave way to the time commonly referred to as ‘Partay’ took over. 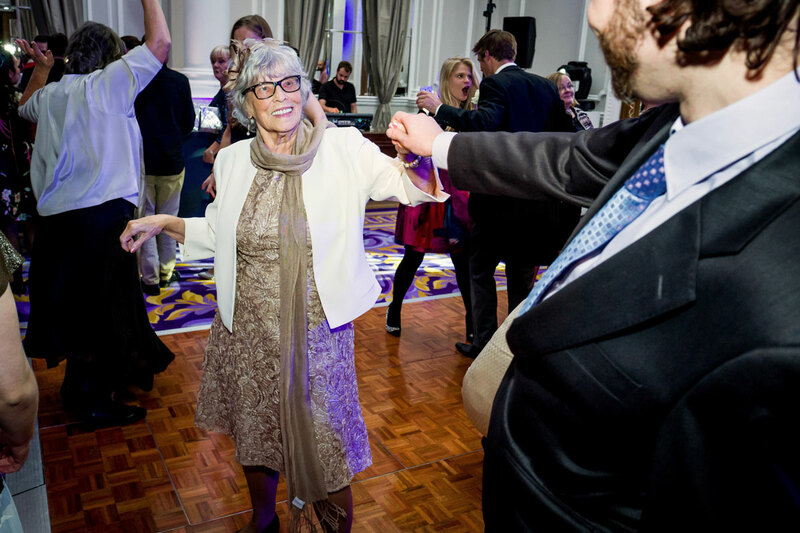 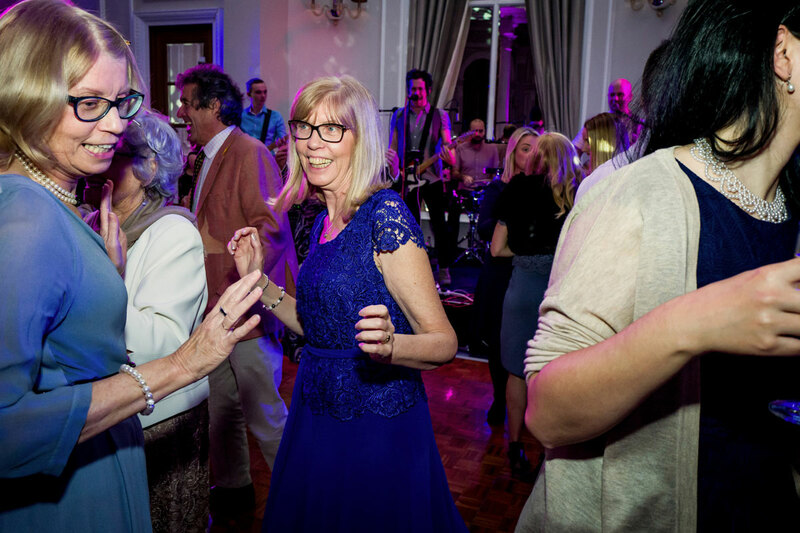 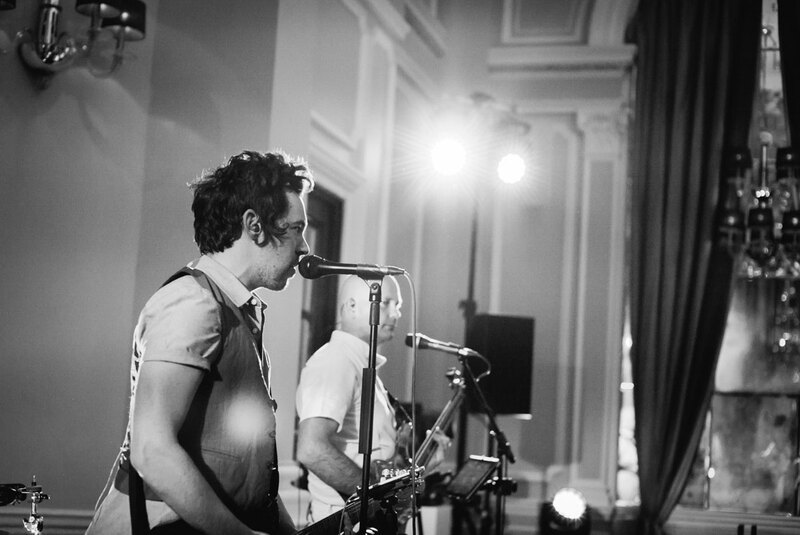 A decent band, some jolly good friends and a beautiful ballroom acted as the backdrop to a fabulous end to a wonderful day. 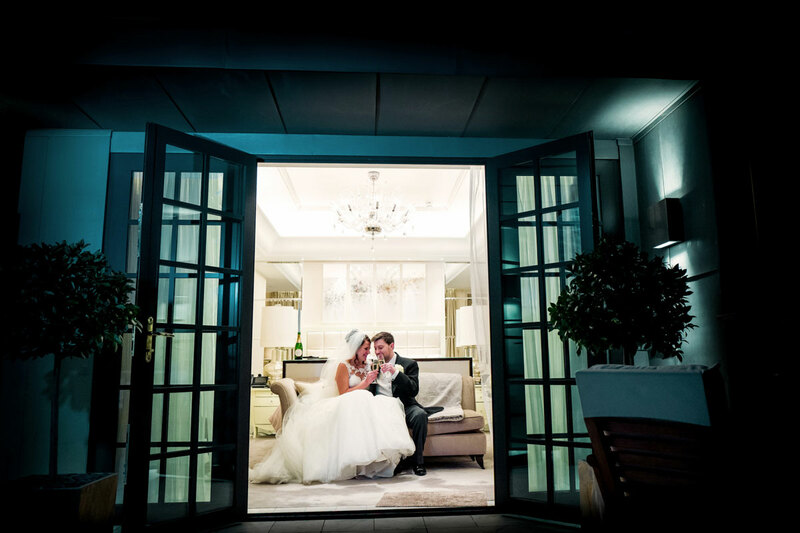 Thanks to Alexandra from the hotel for being super accommodating as always.